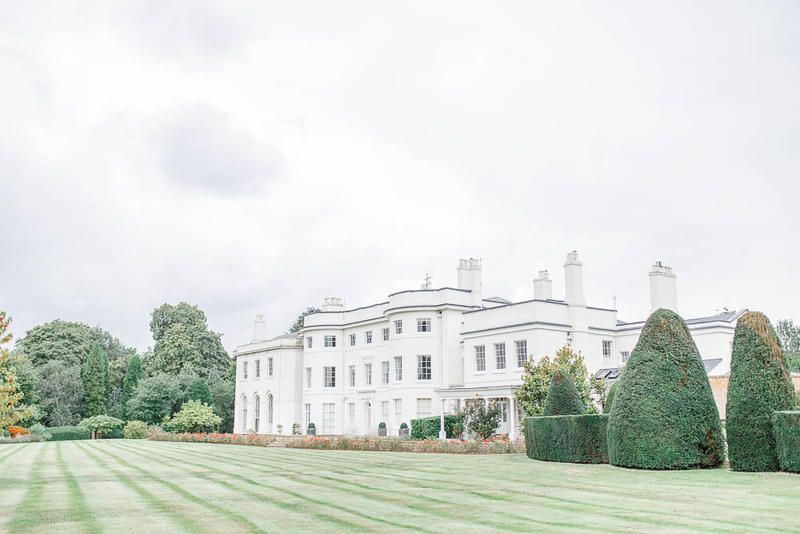 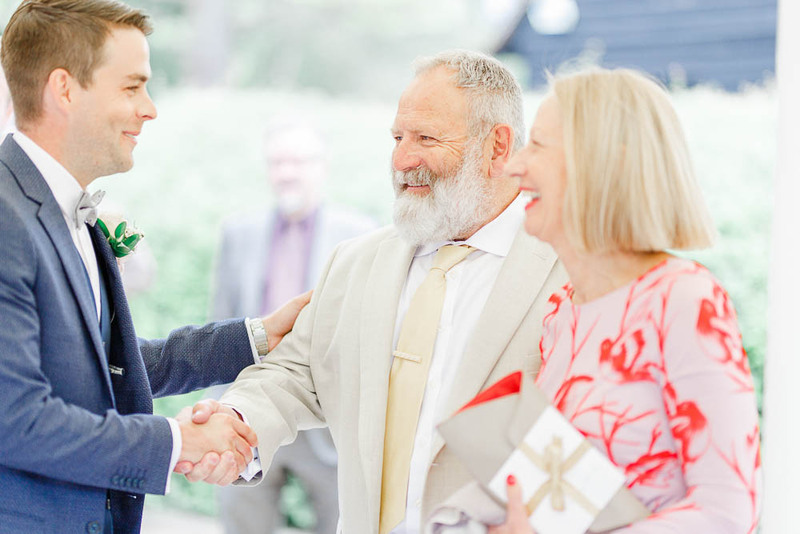 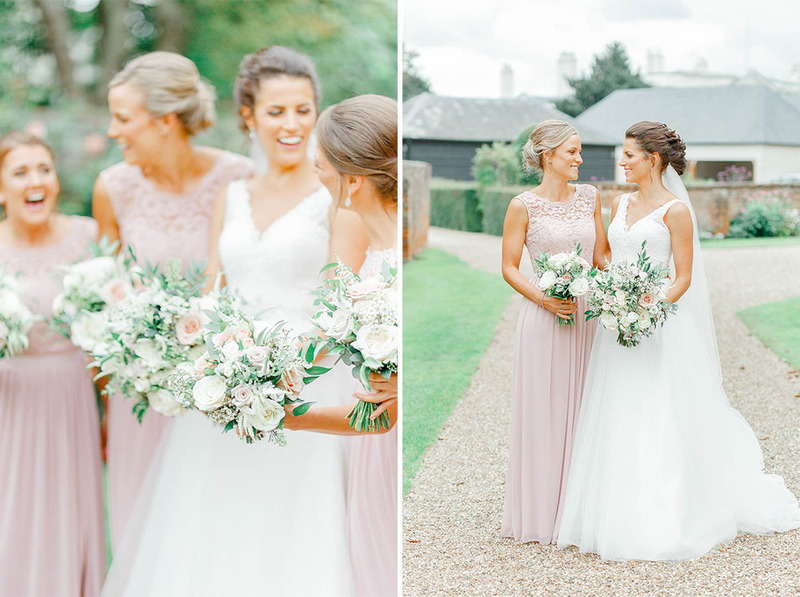 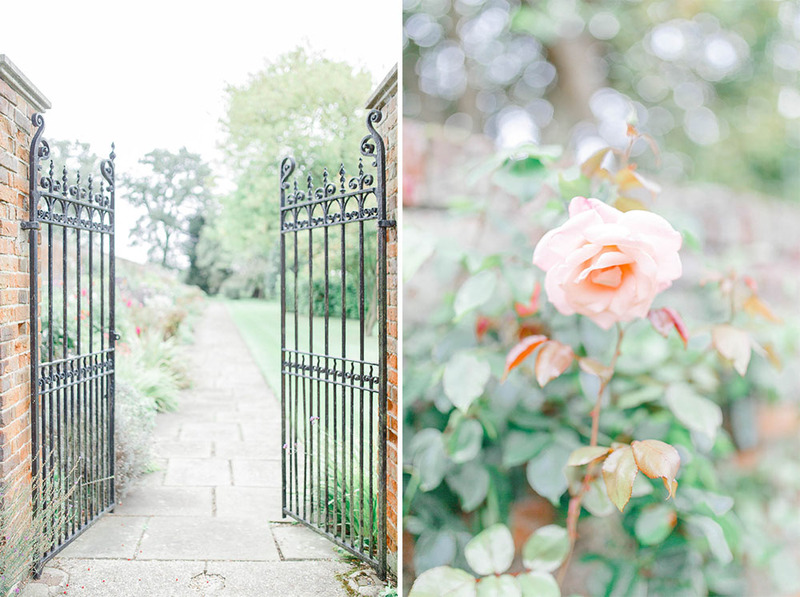 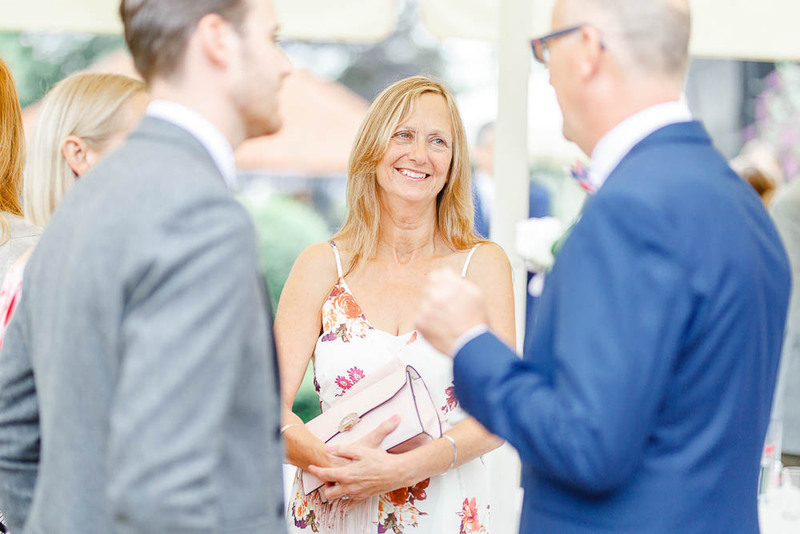 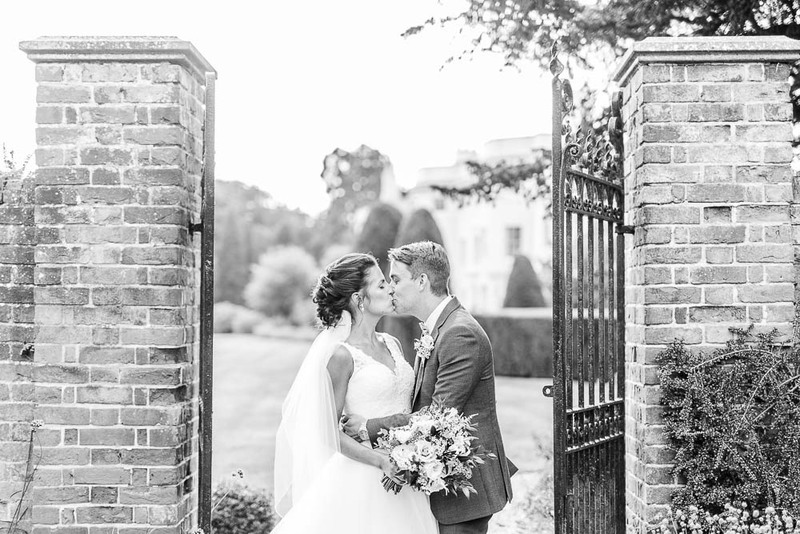 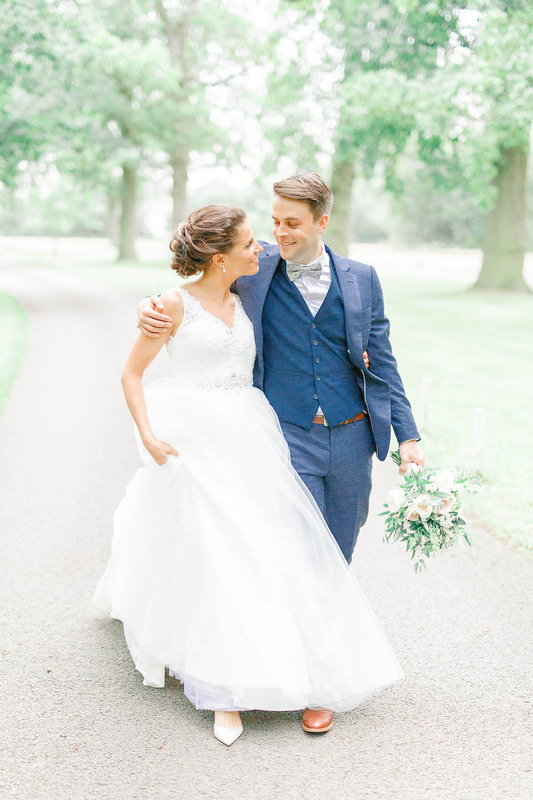 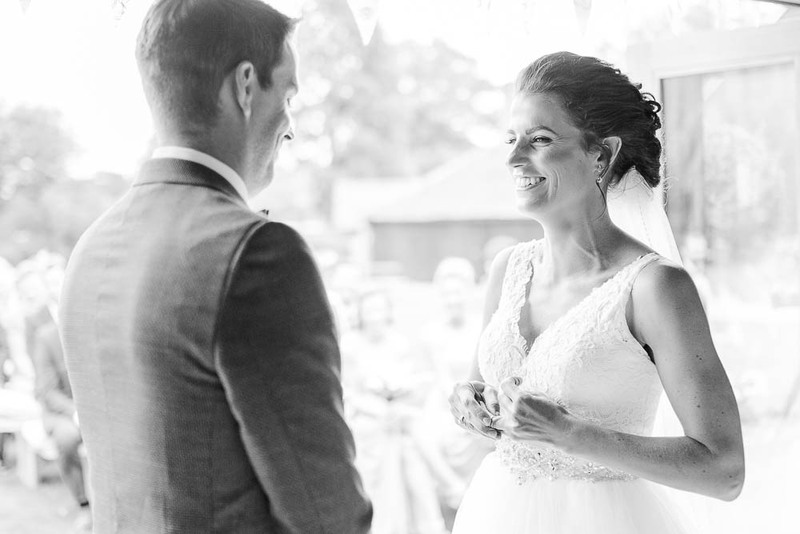 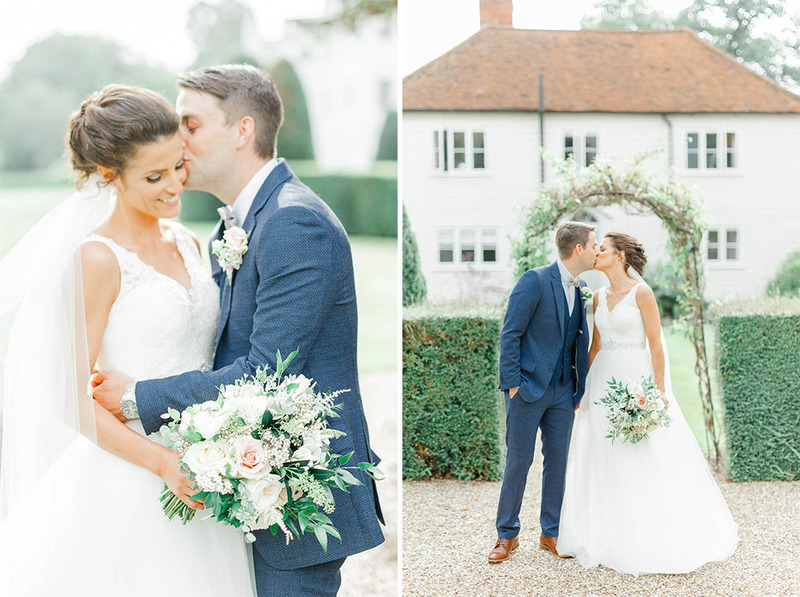 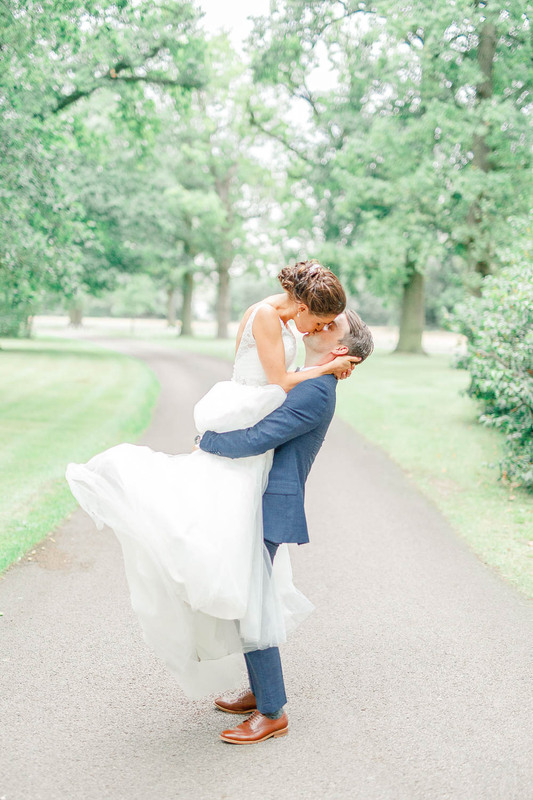 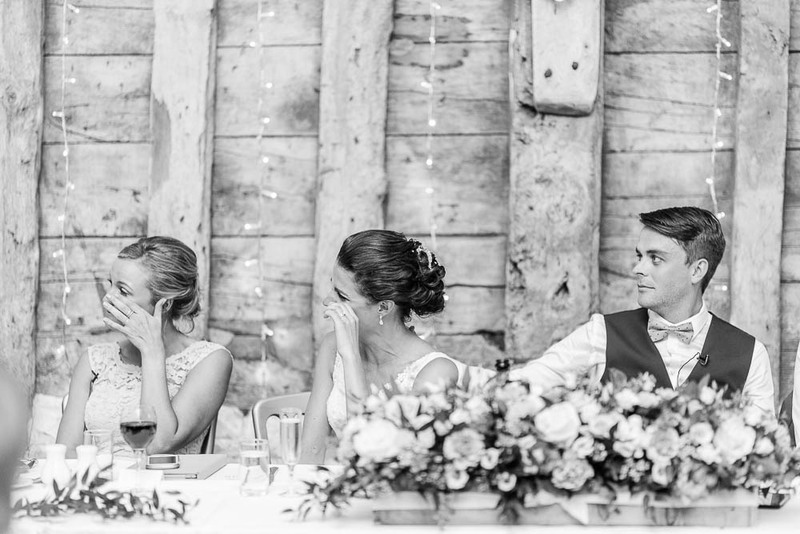 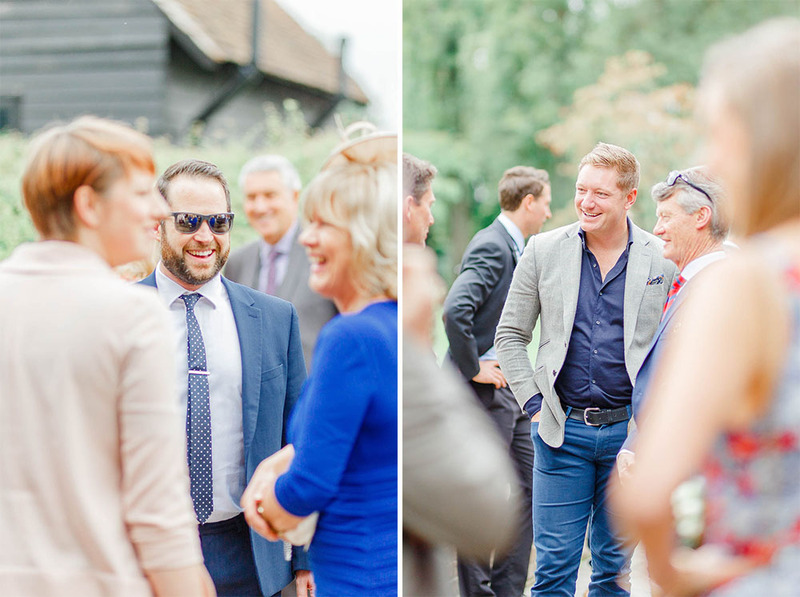 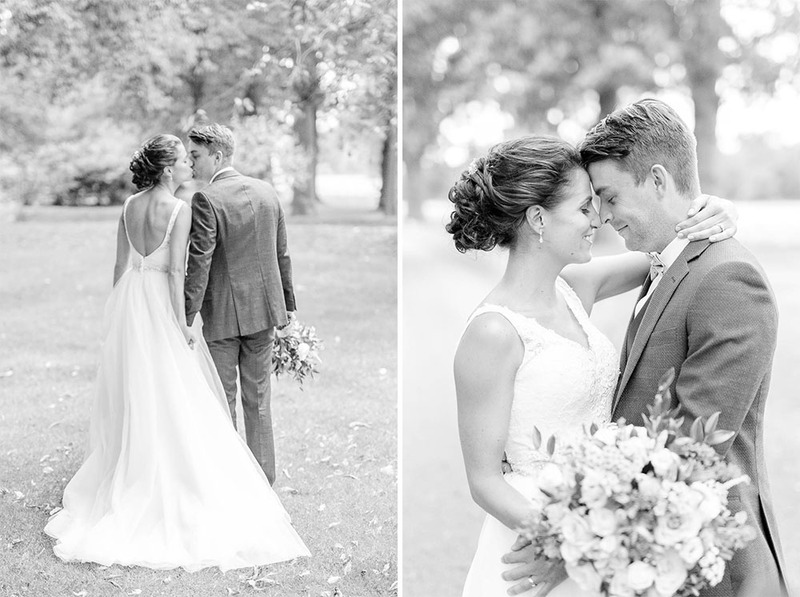 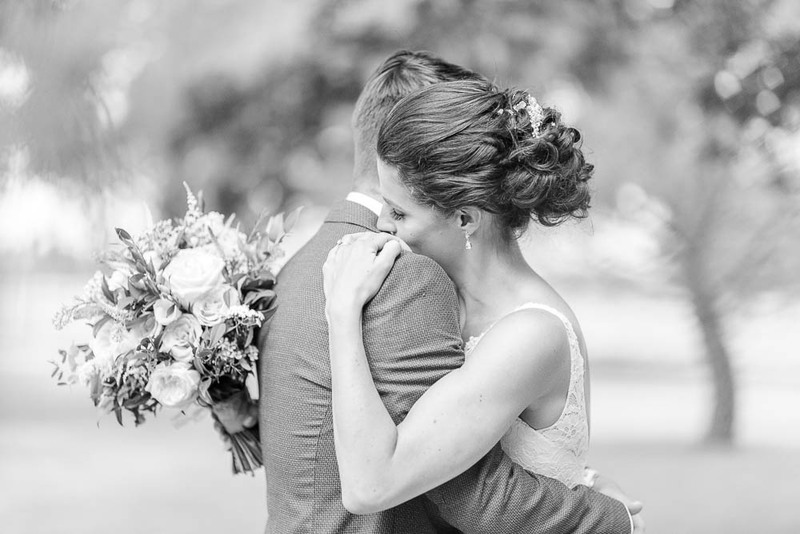 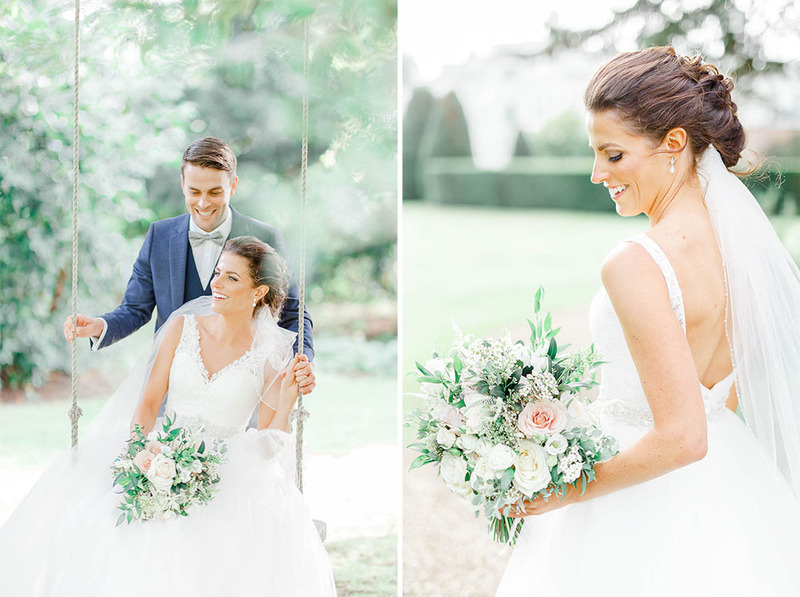 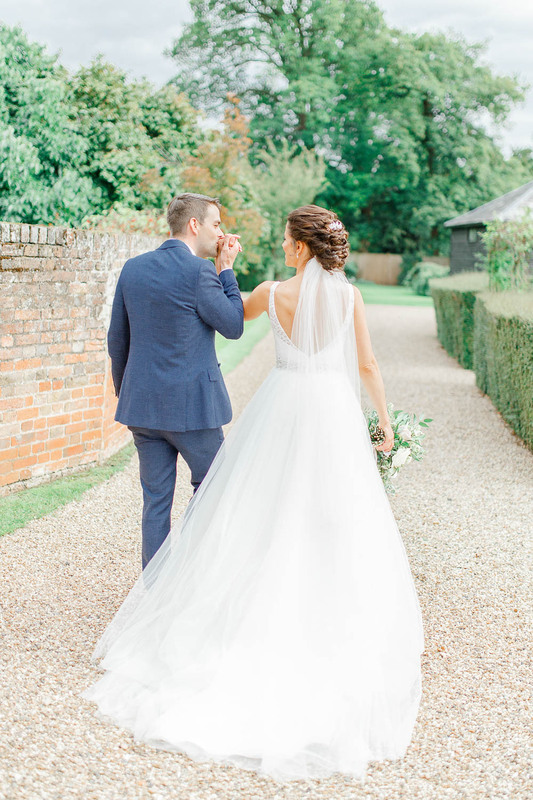 Becca & Tom came all the way from their home in Australia to get married in the beautiful Essex countryside. 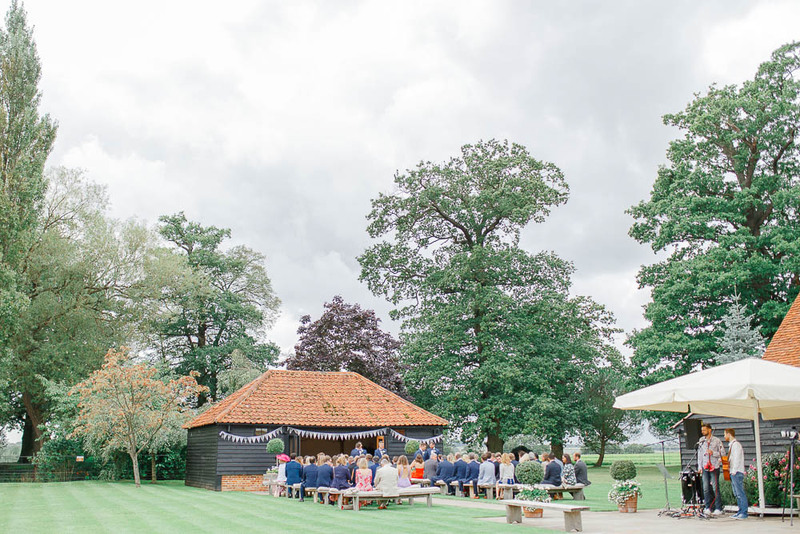 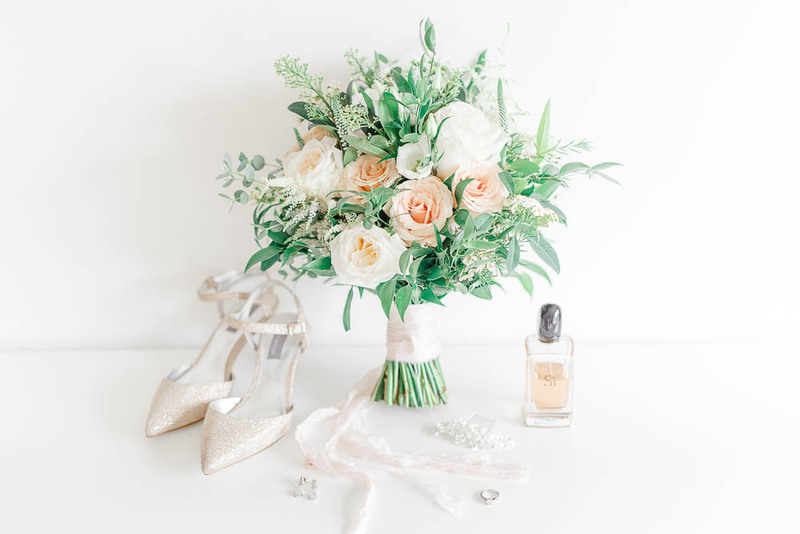 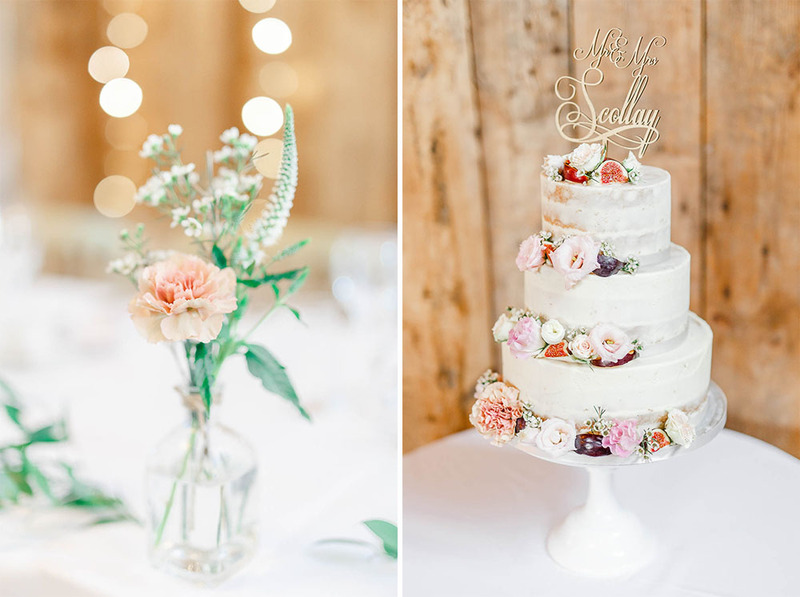 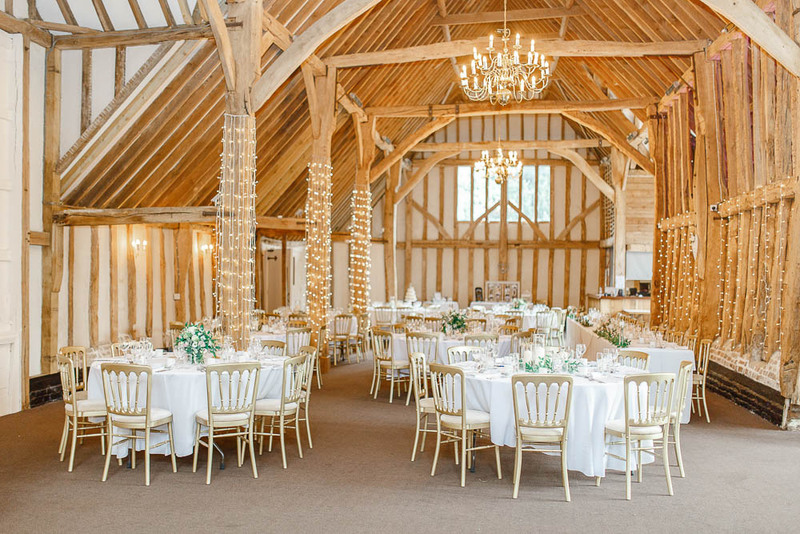 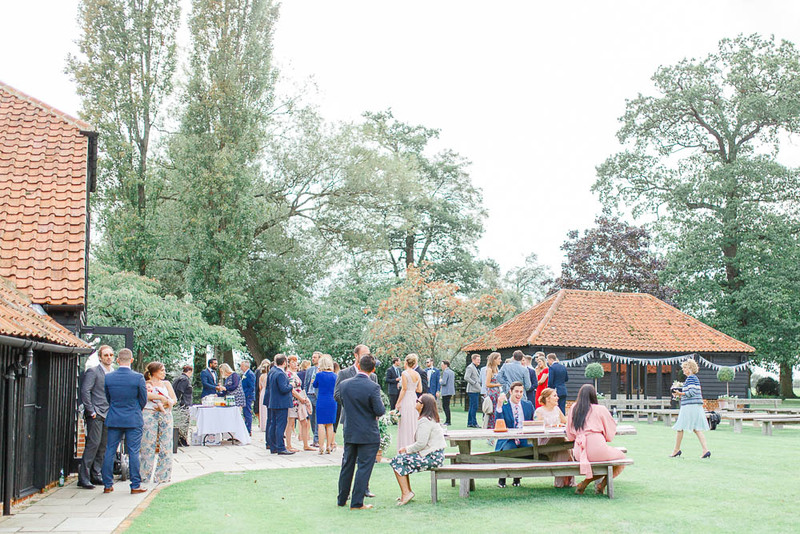 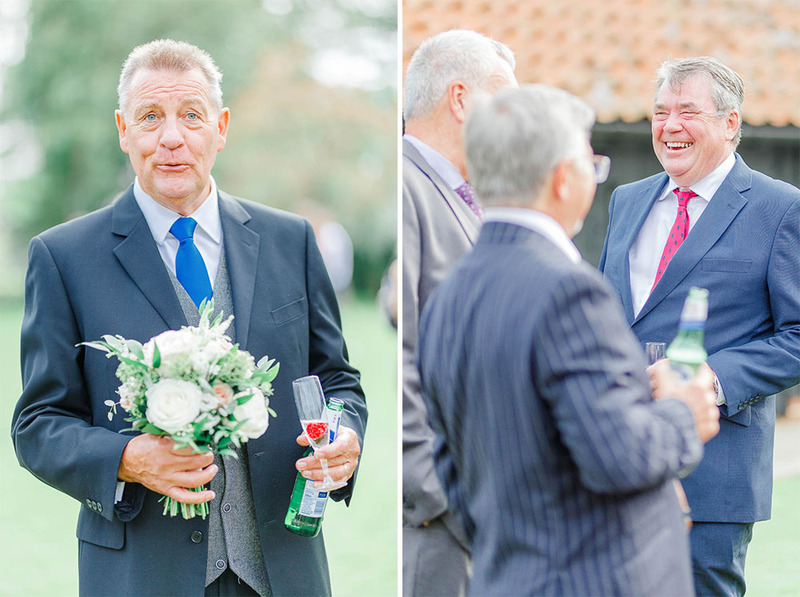 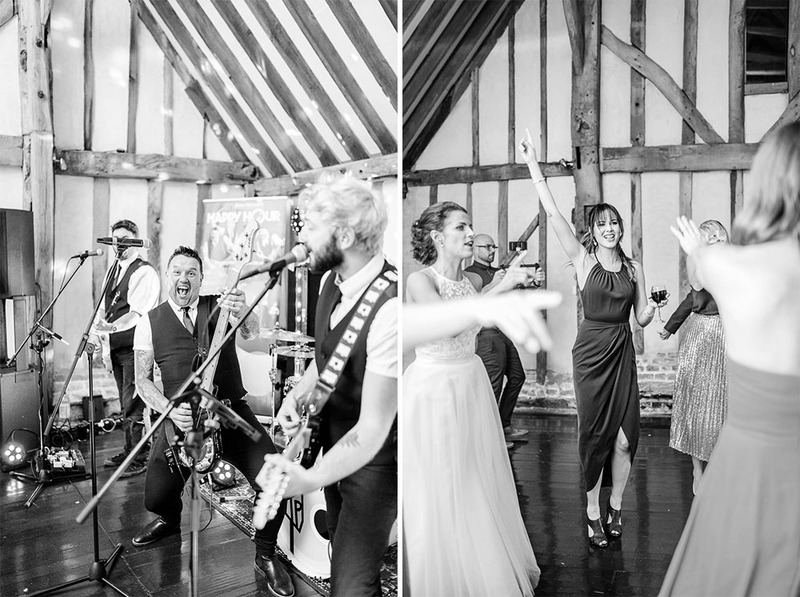 They chose the magnificent Blake Hall for their wedding – a lovely barn set in the grounds of a country manor. 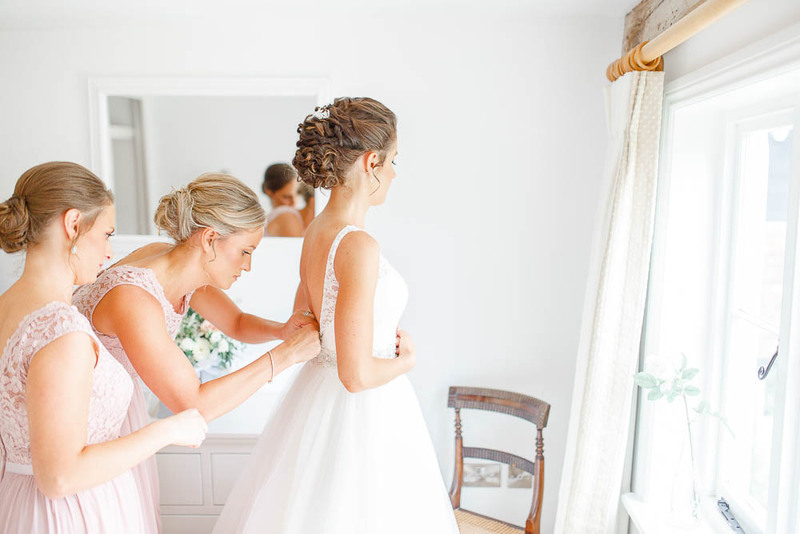 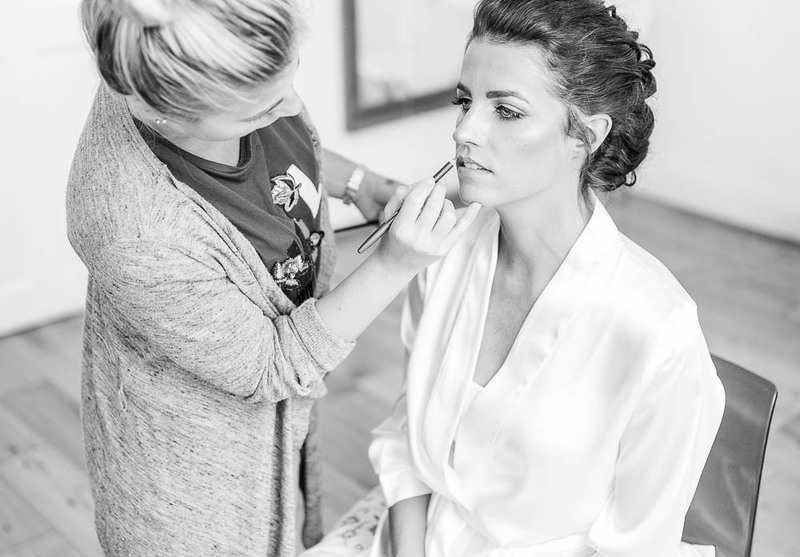 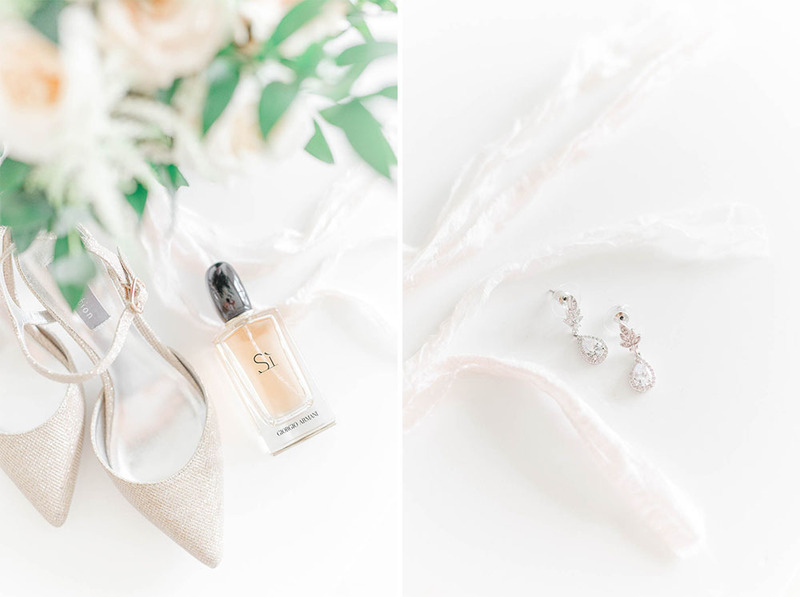 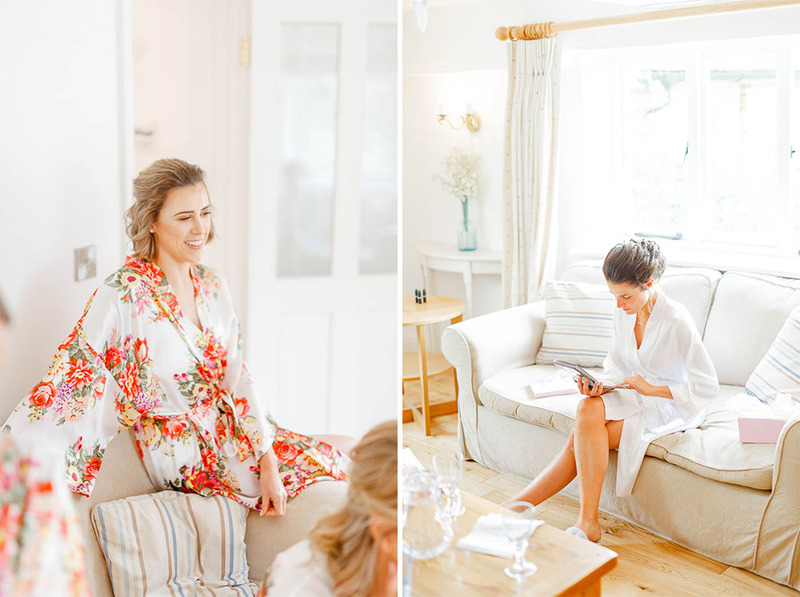 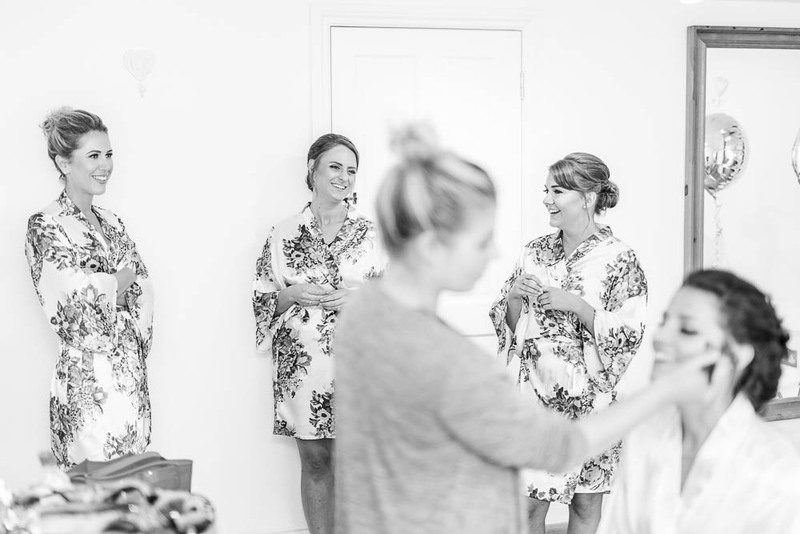 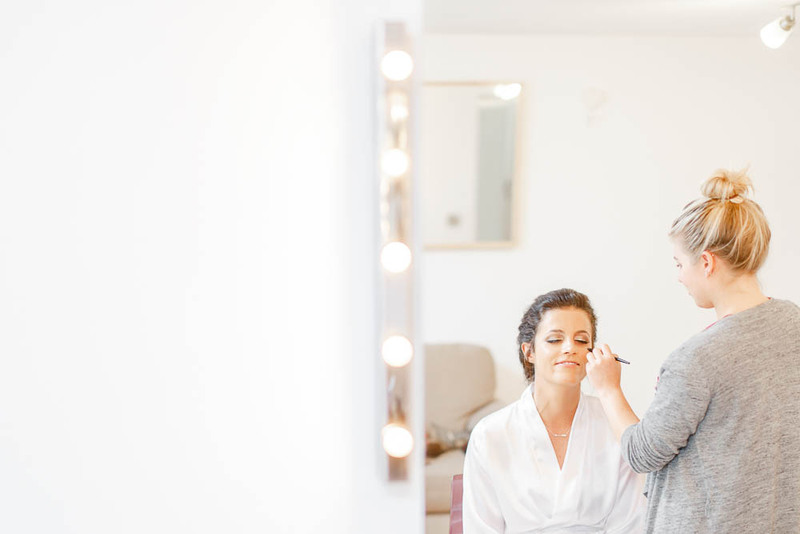 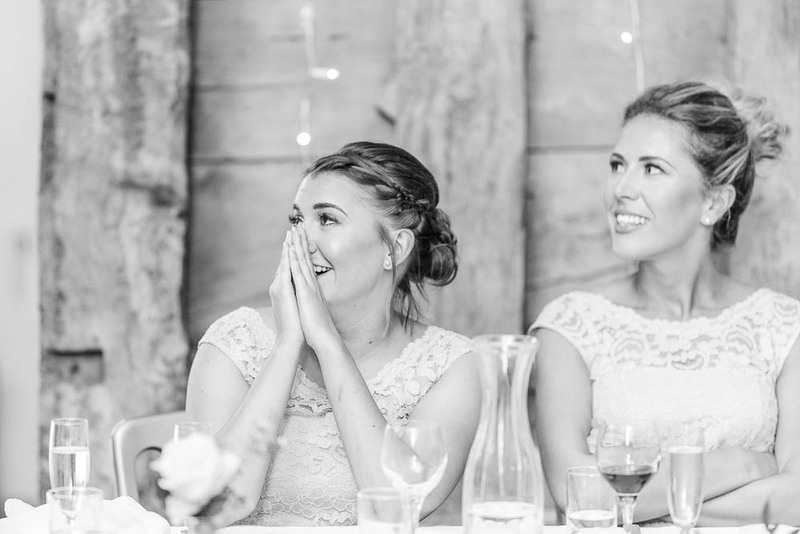 Becca got ready in the coach house, surrounded by all her friends, her mum and her future mother-in-law. 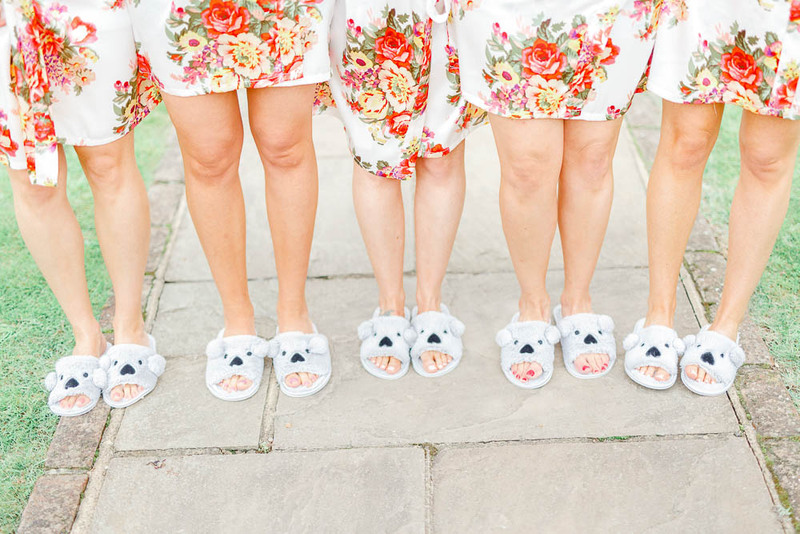 We absolutely adore the girls’ matching Koala slippers, bringing a bit of Oz to the UK! 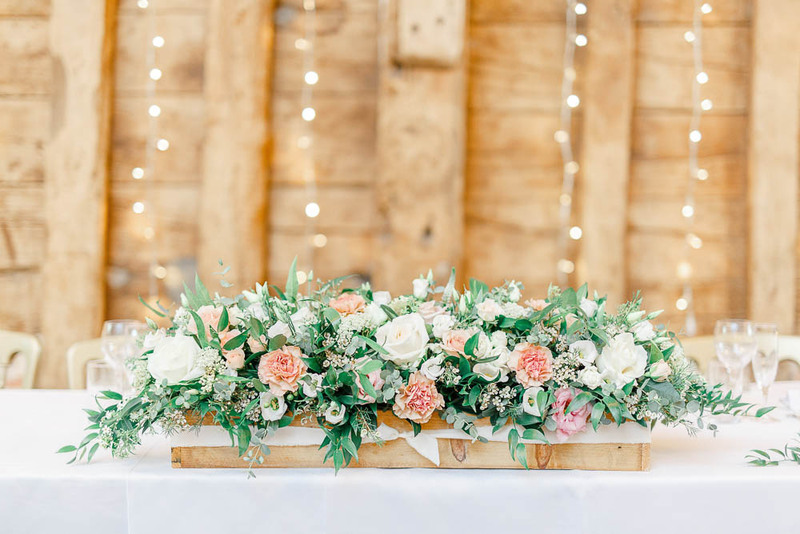 🙂 Also, how amazing are those flowers by The Flower Mill? 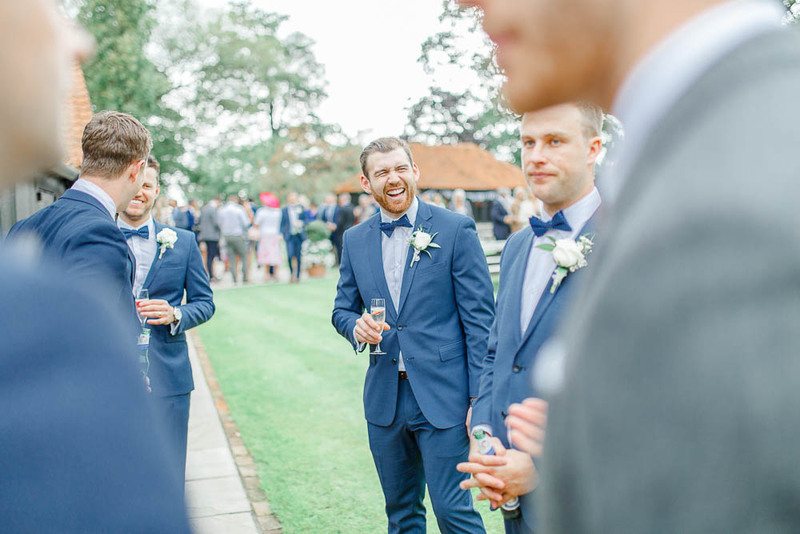 Tom had booked a stable conversion to prepare for his big day with his friends. 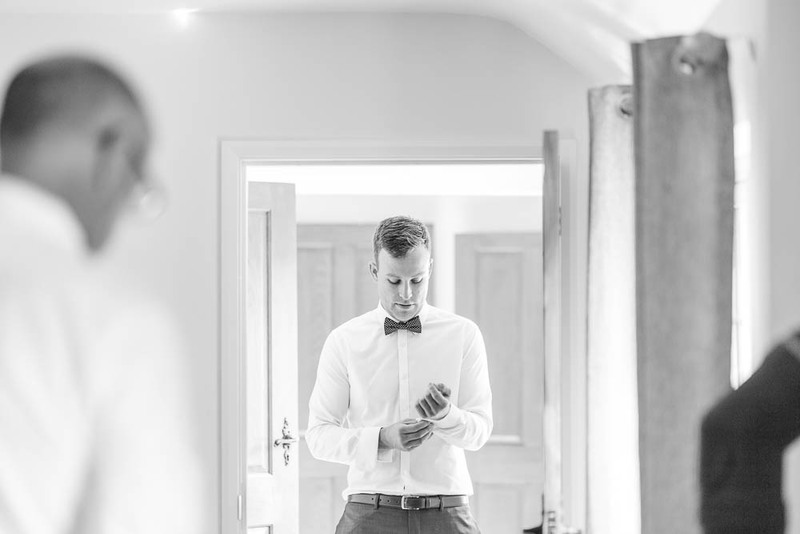 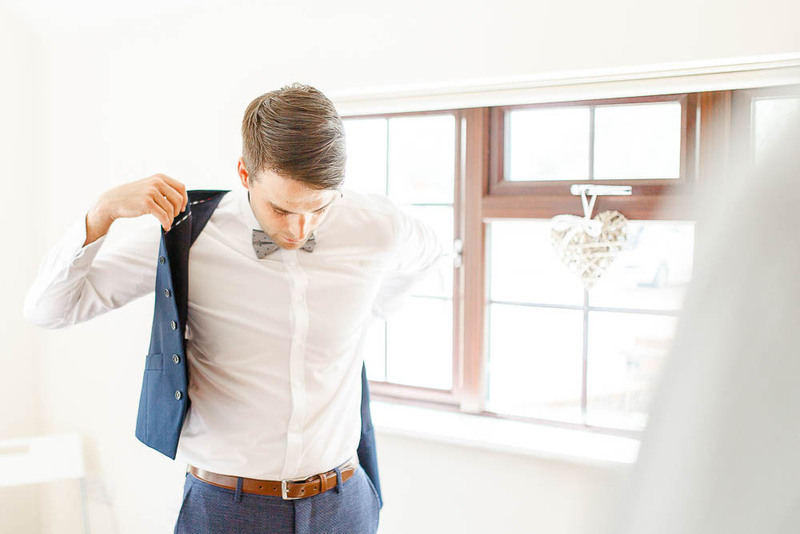 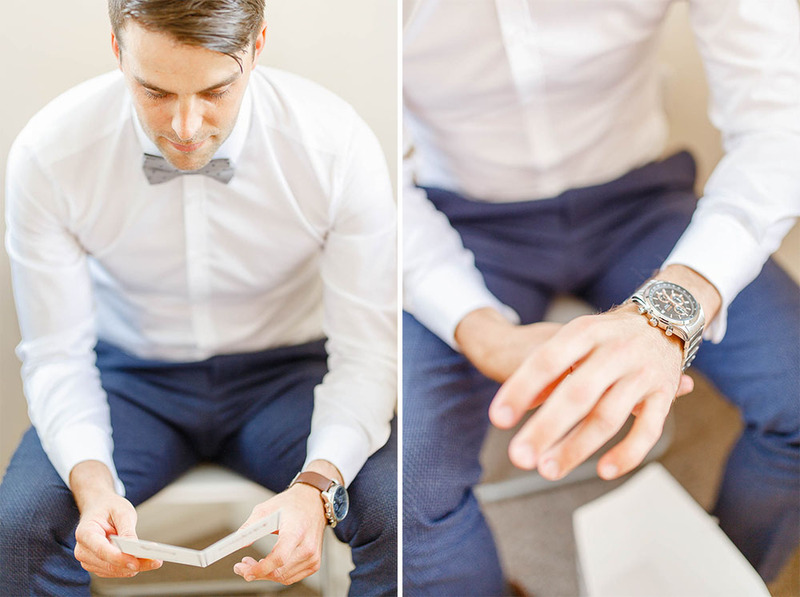 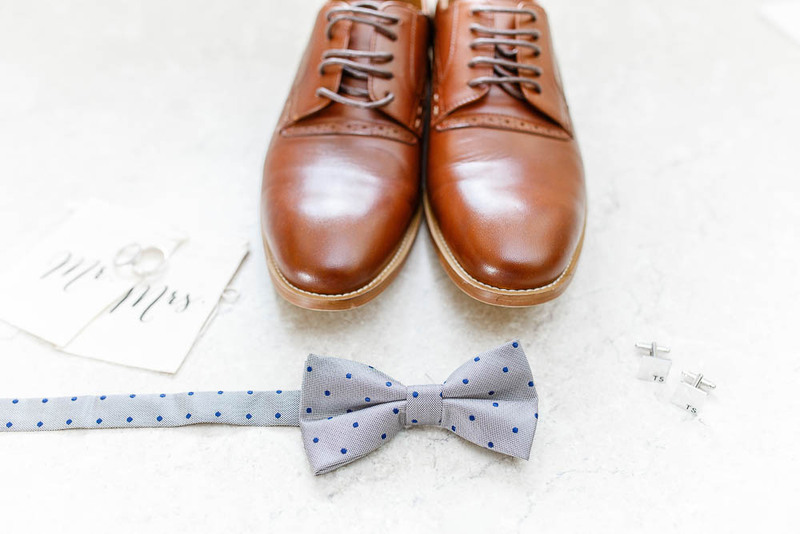 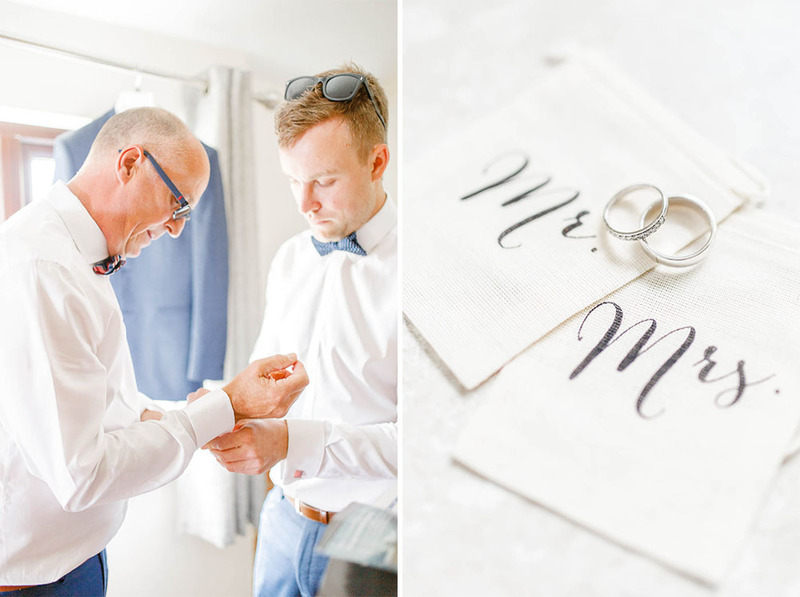 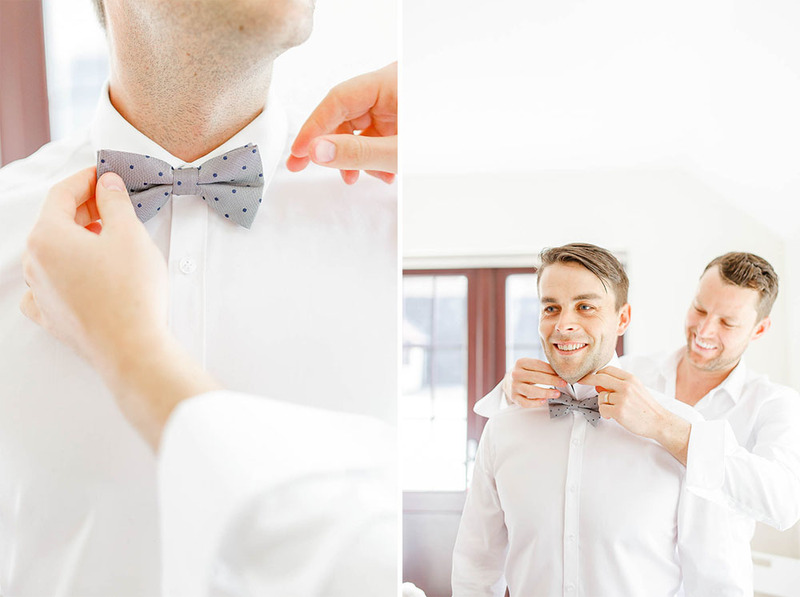 It always helps to have lots of pairs of hands when it comes to putting on a fiddly bow tie! 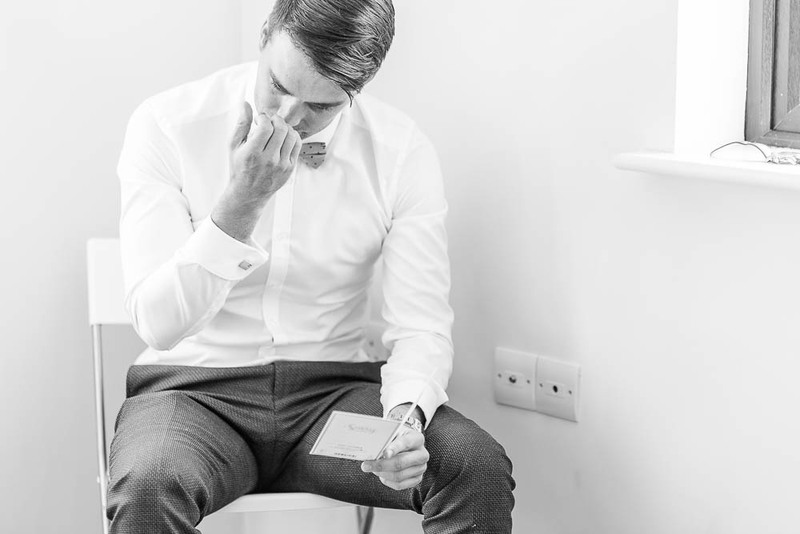 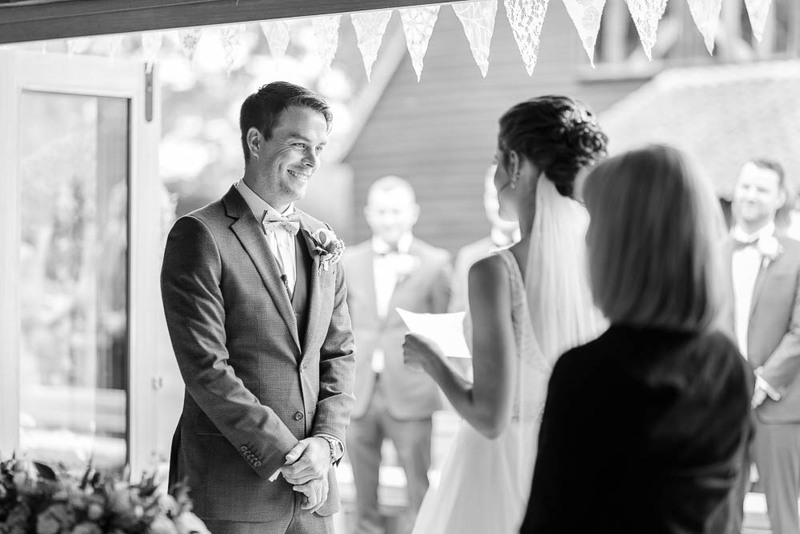 We loved his reaction as he read the card Becca wrote him. 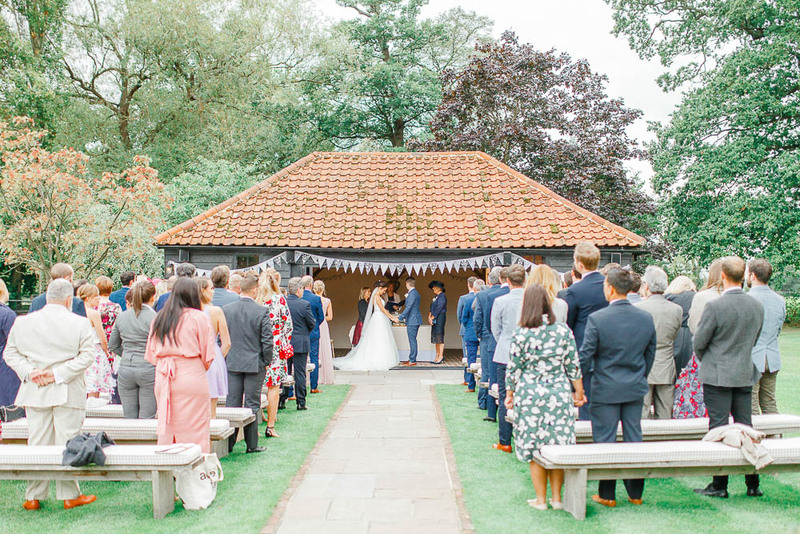 Despite the threat of rain in the morning the ceremony was held outdoors, and it was glorious! 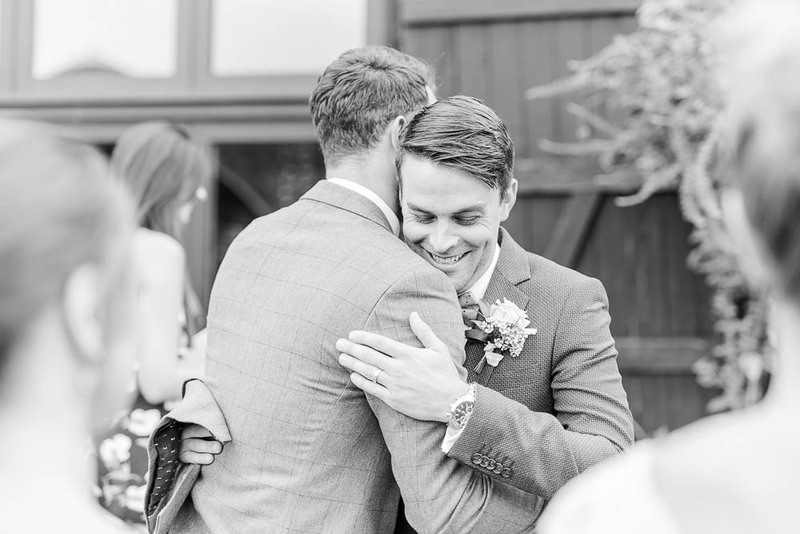 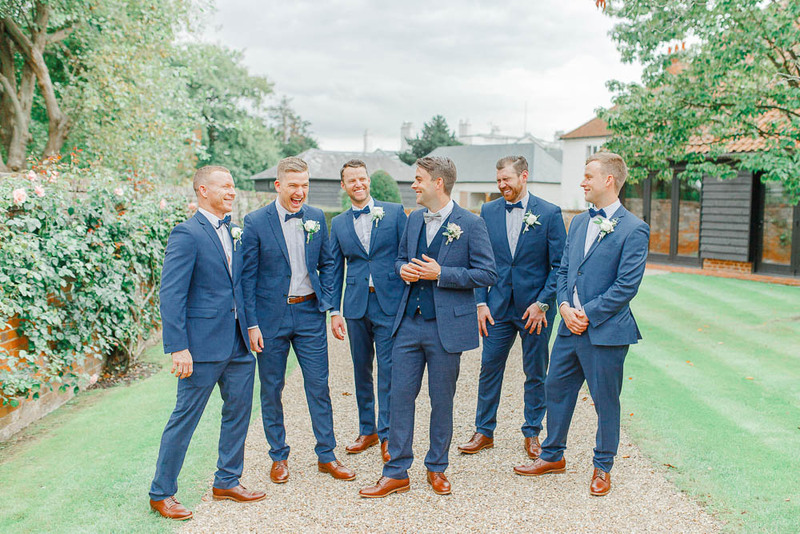 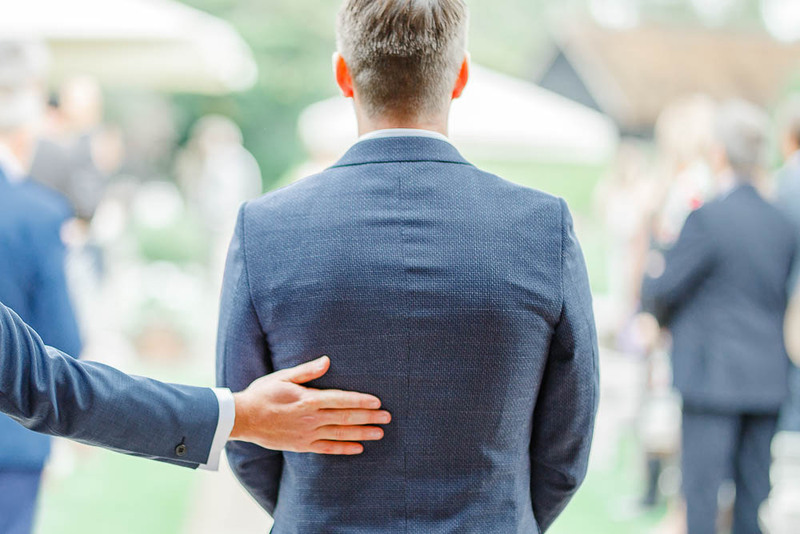 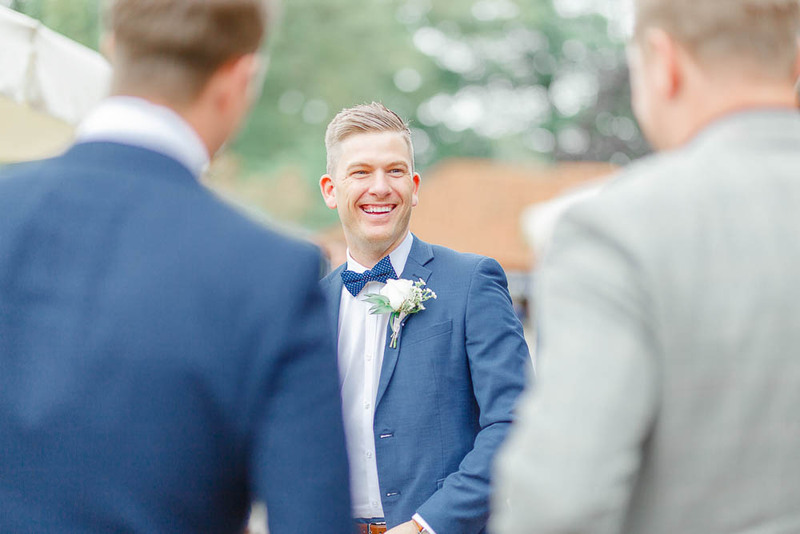 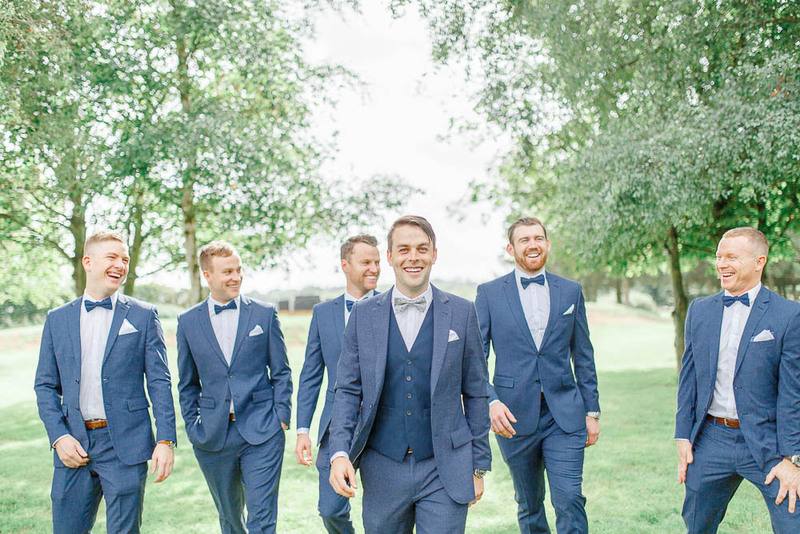 Tom had his groomsmen standing beside him as Becca made her way down the (very long!) 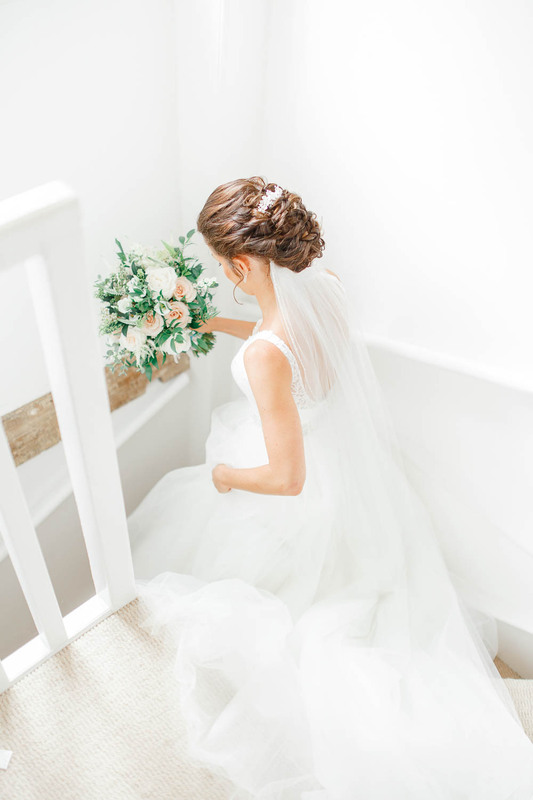 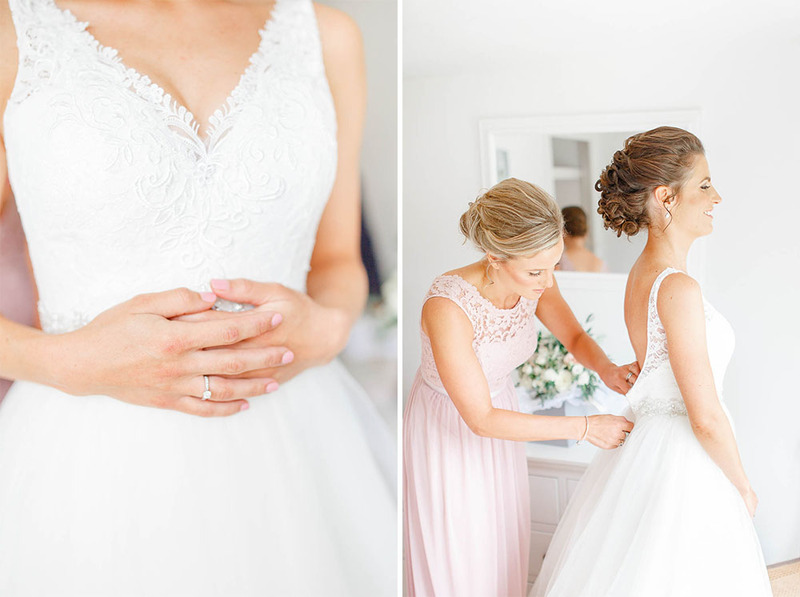 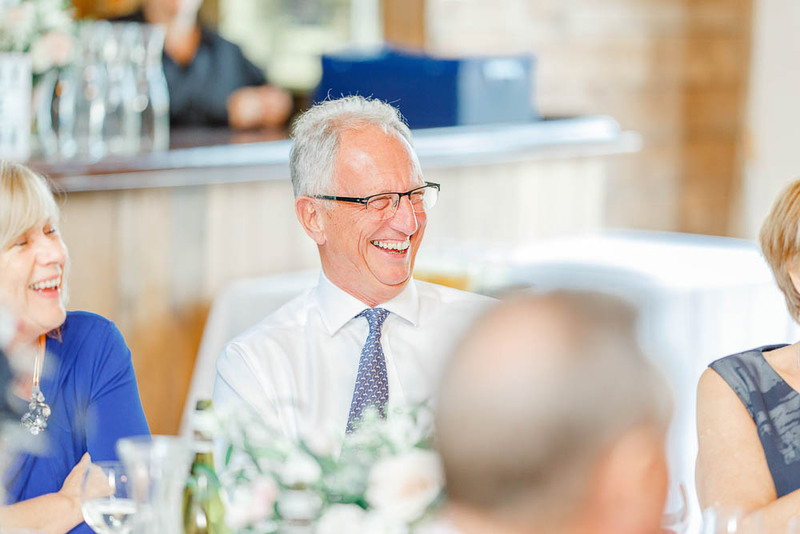 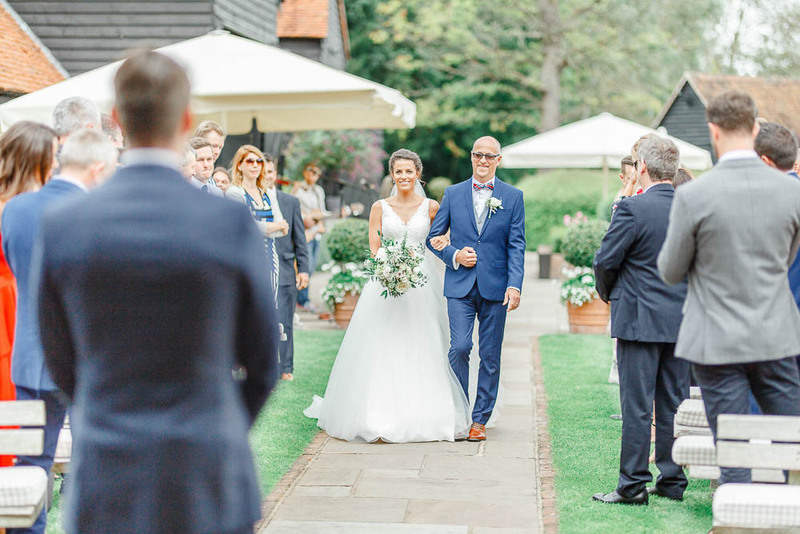 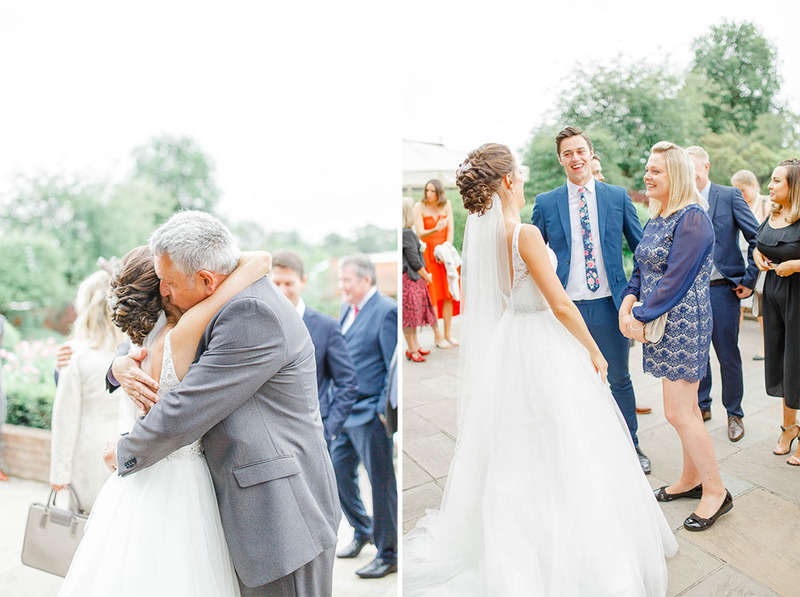 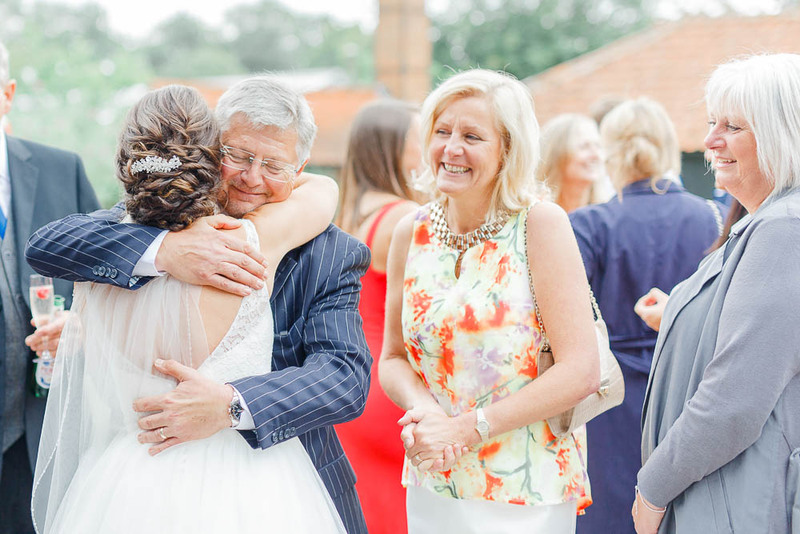 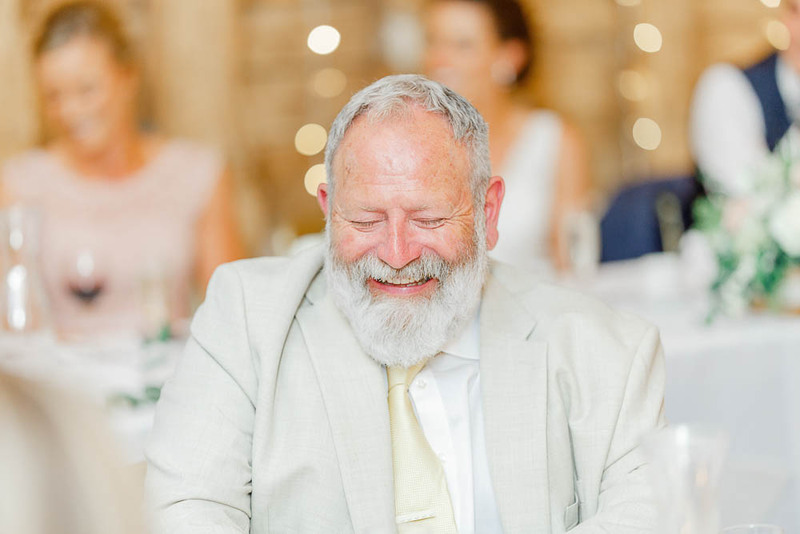 aisle with her dad – such a beautiful moment, and Becca looked stunning! 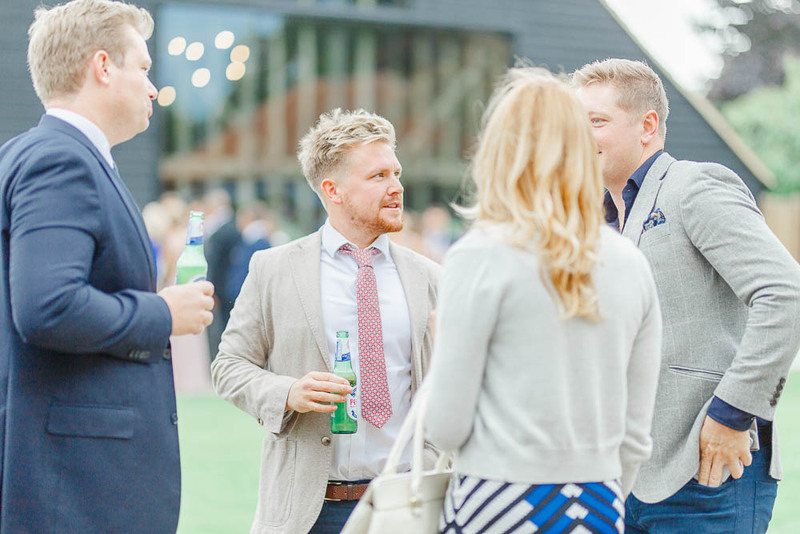 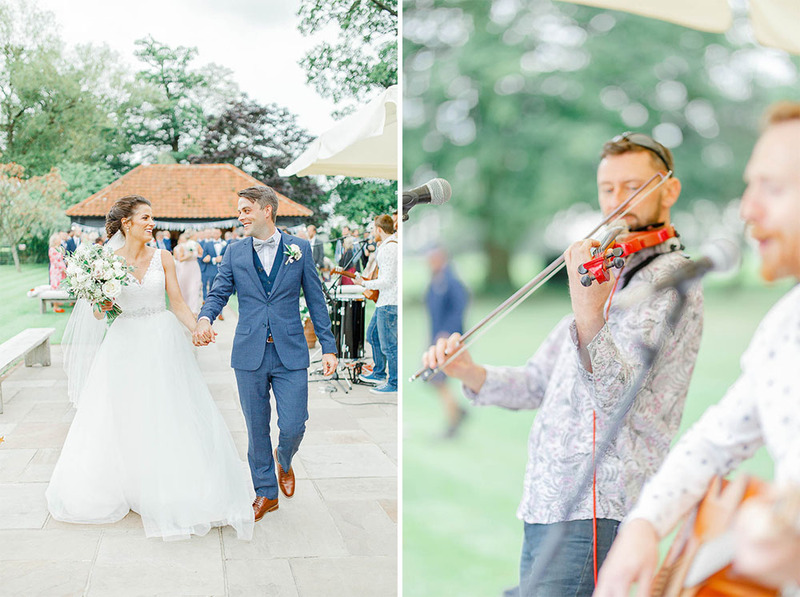 Throughout the afternoon the atmosphere was absolutely fantastic, with live music & plenty of drinks for the guests. 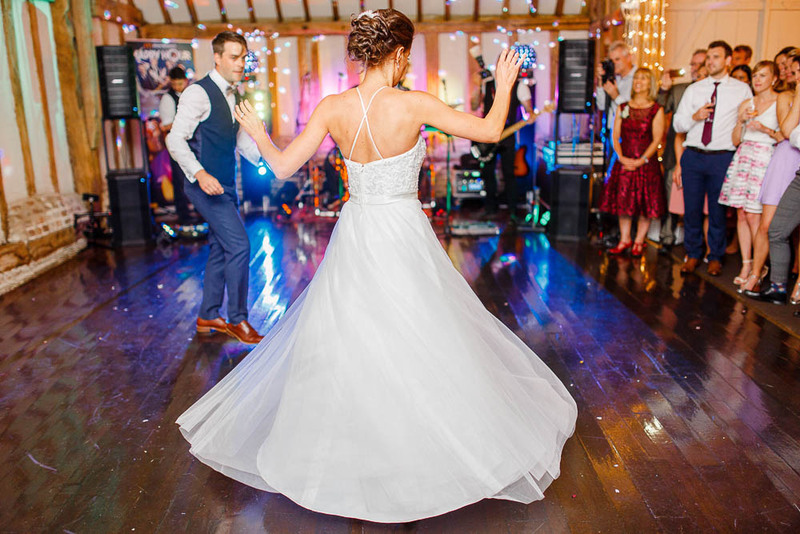 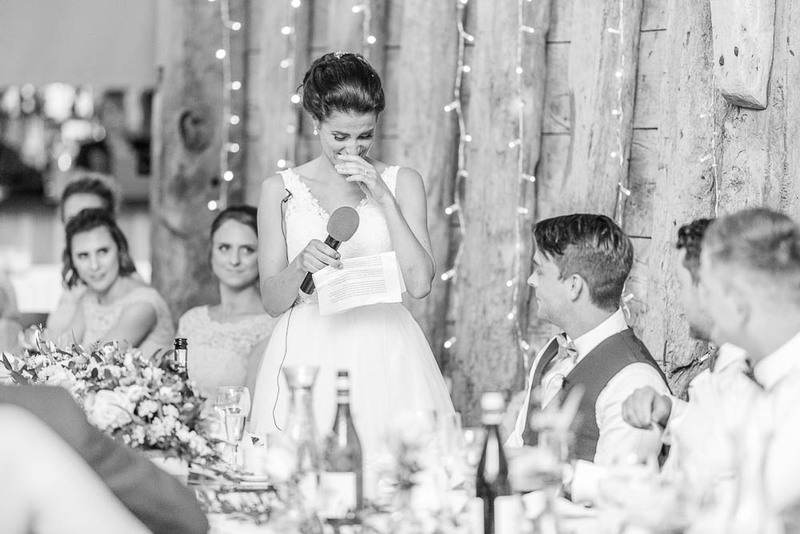 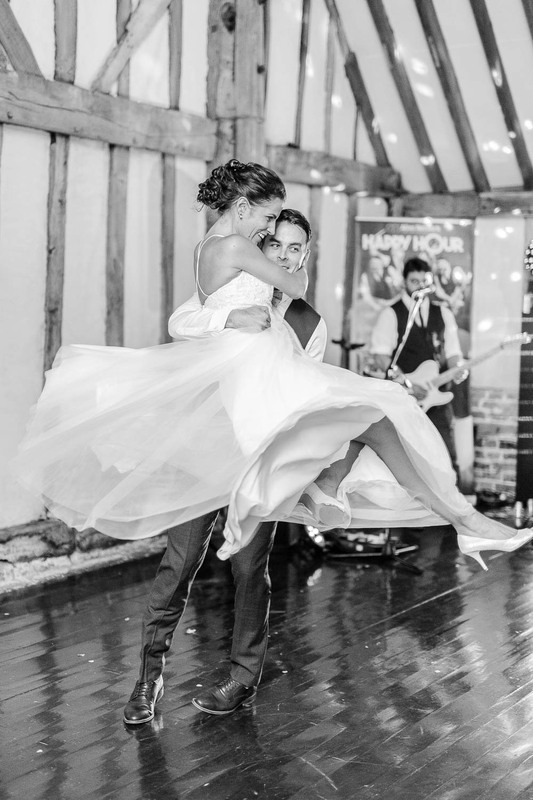 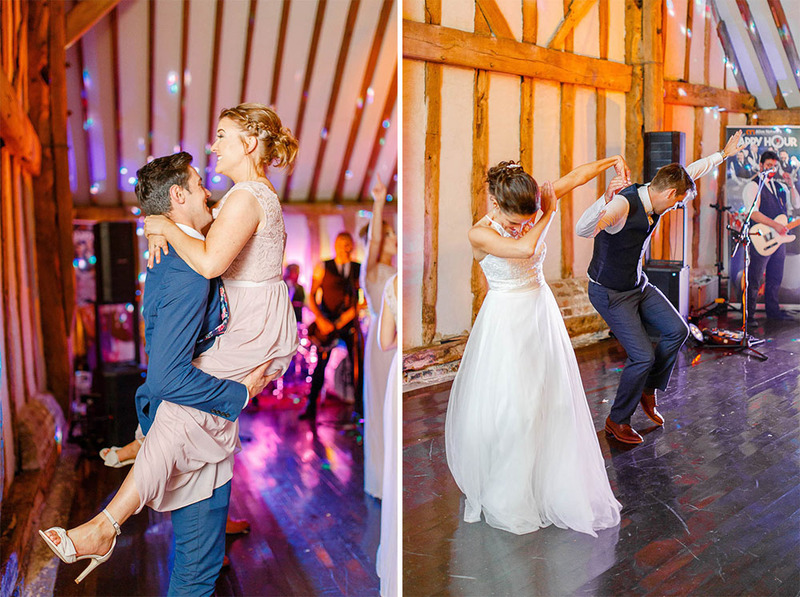 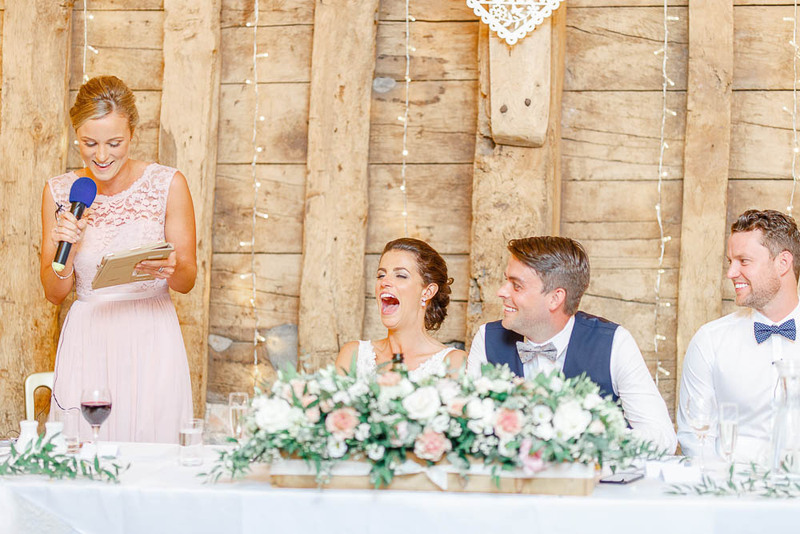 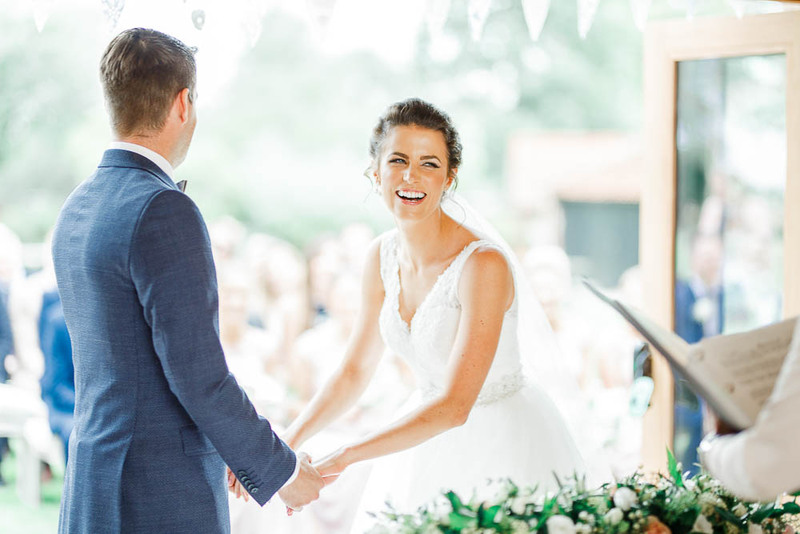 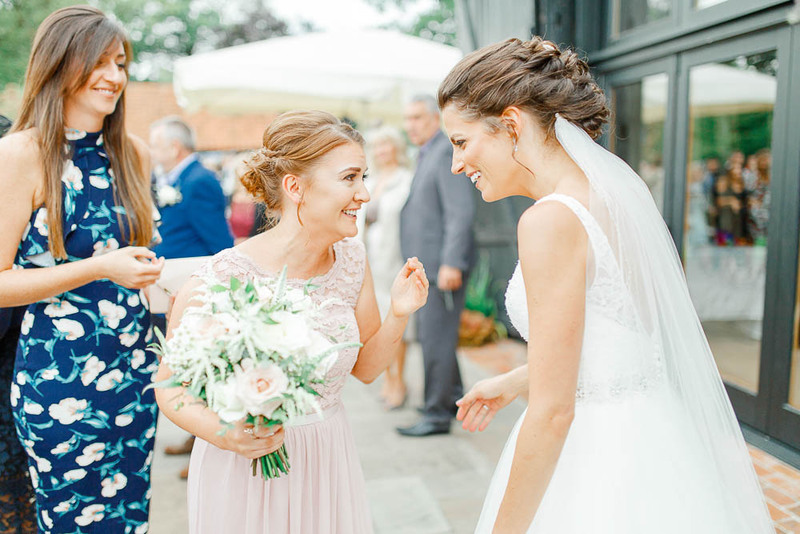 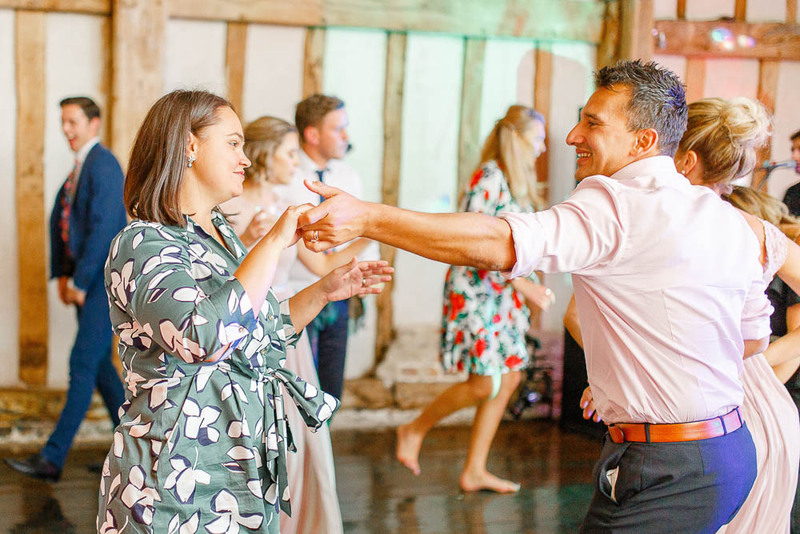 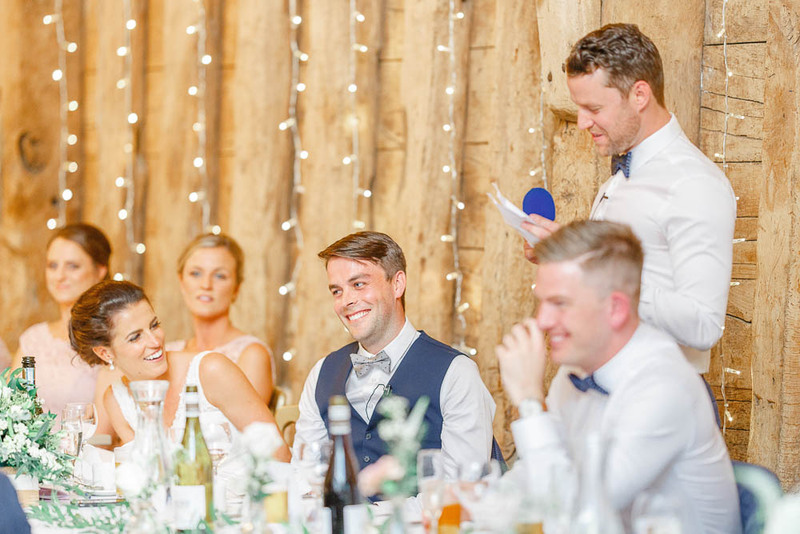 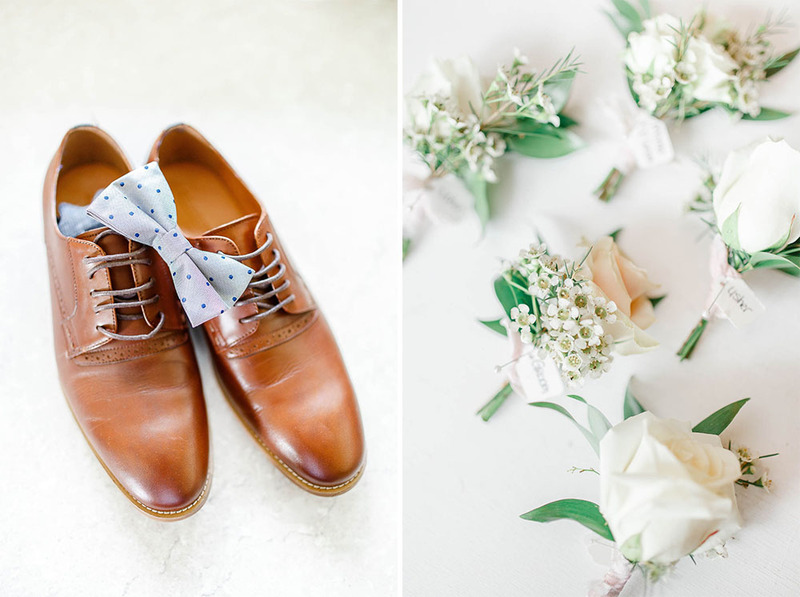 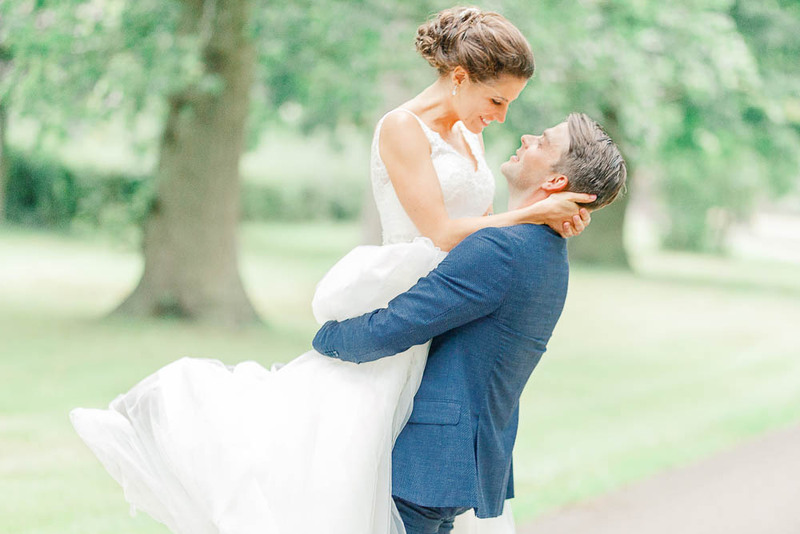 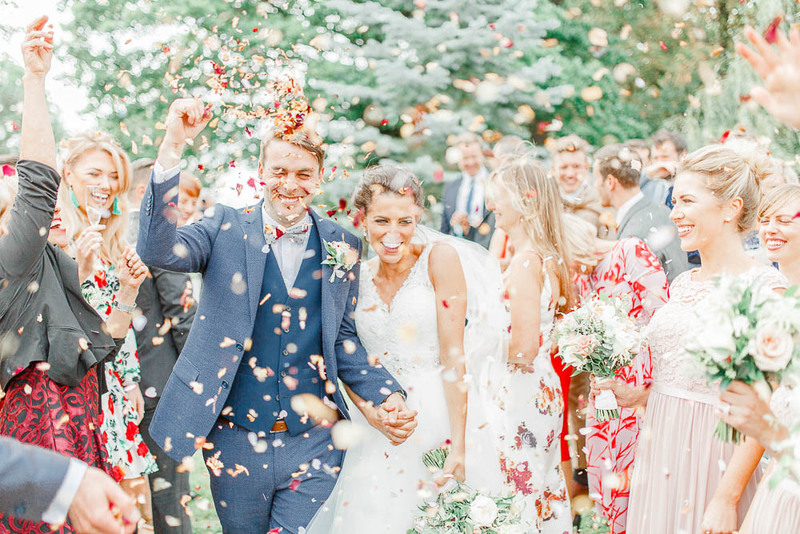 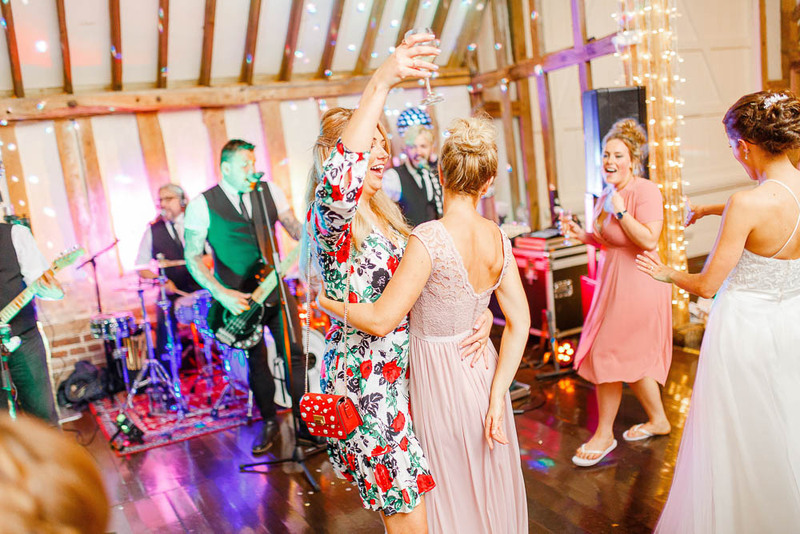 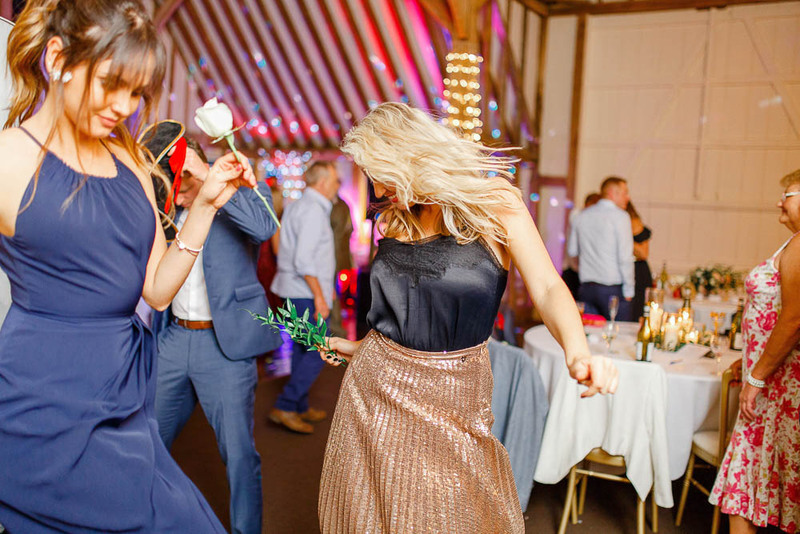 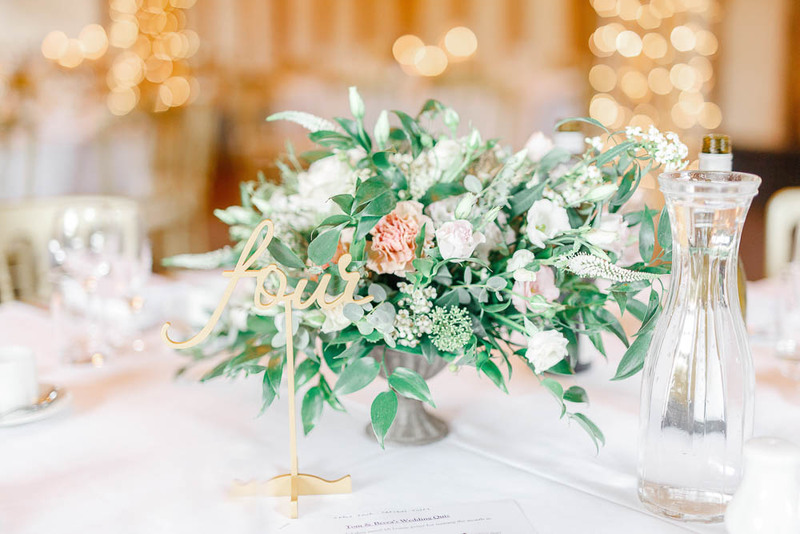 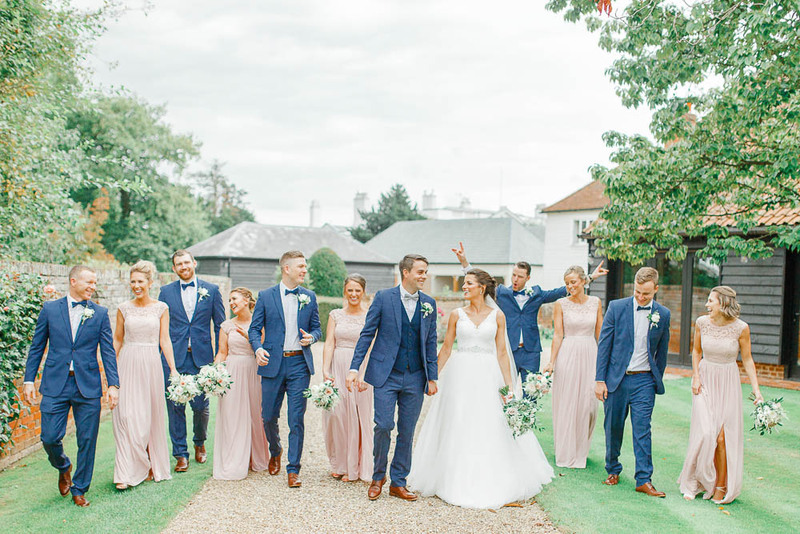 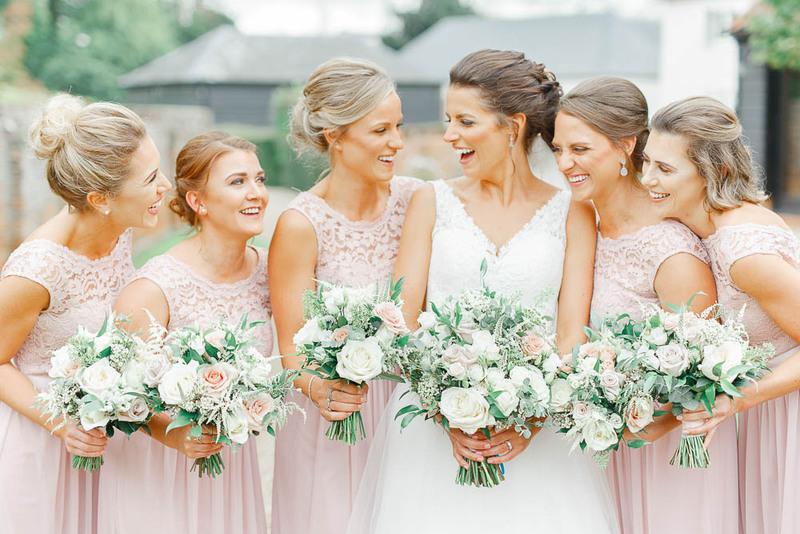 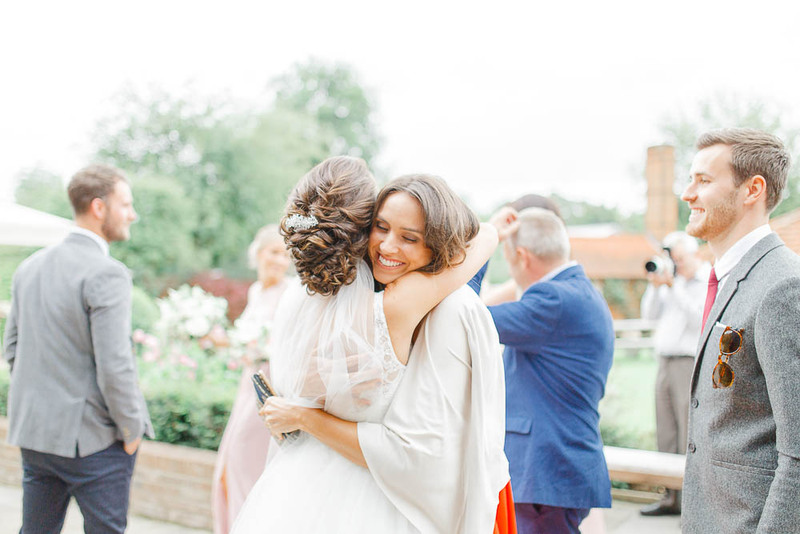 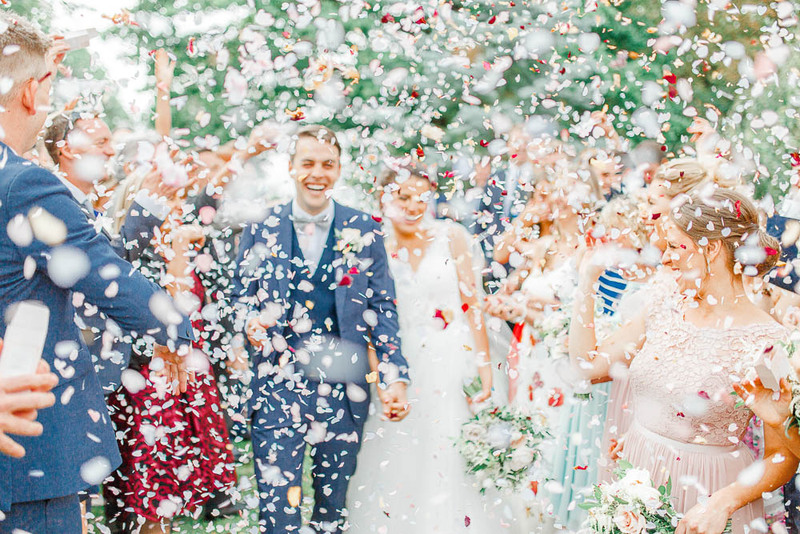 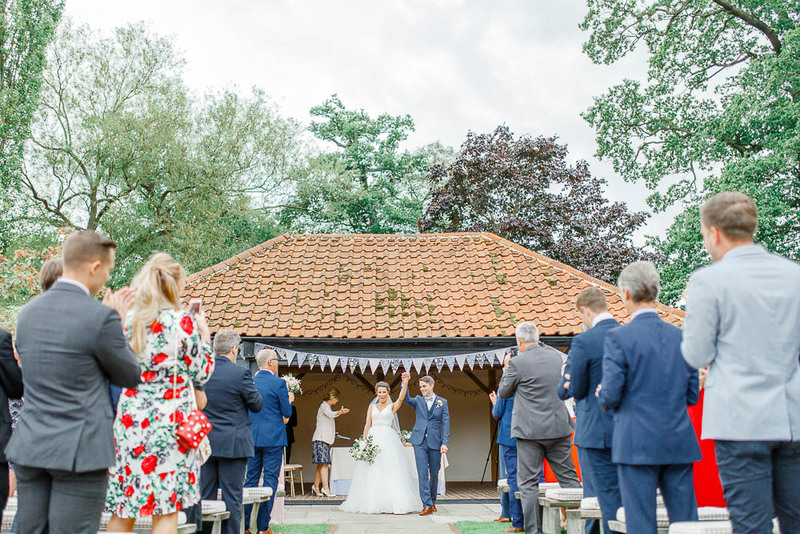 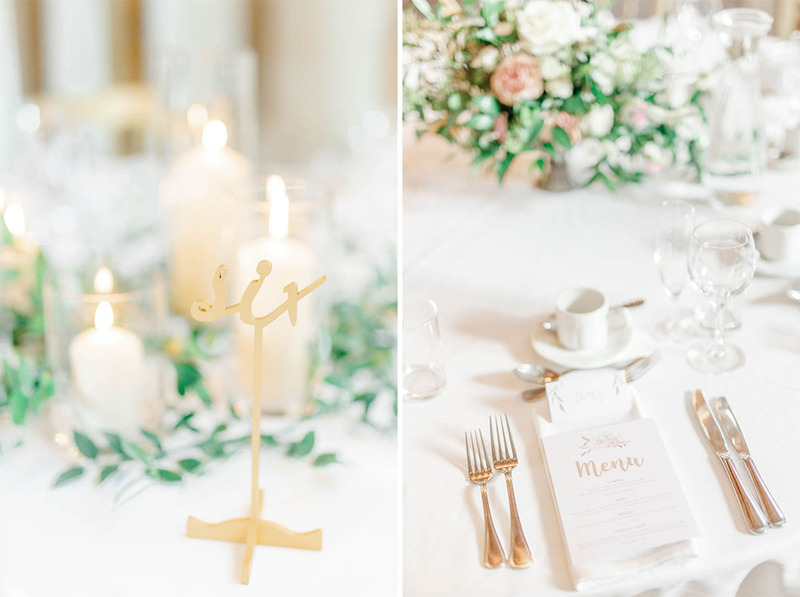 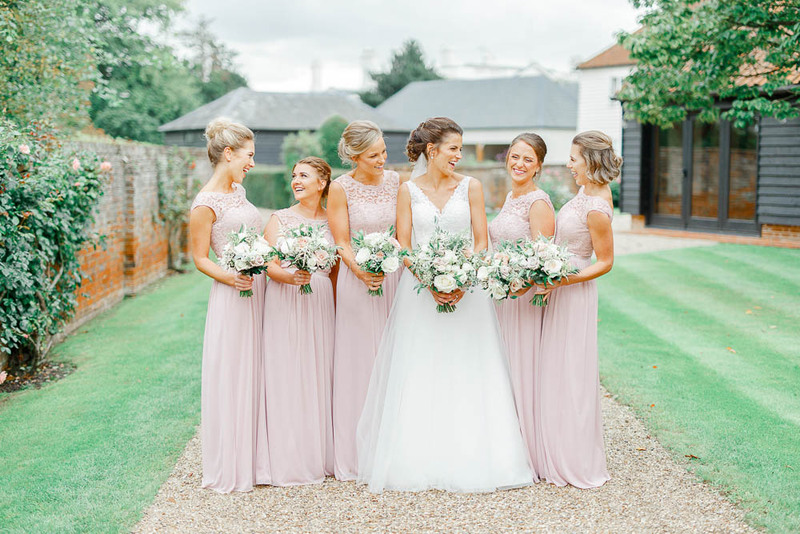 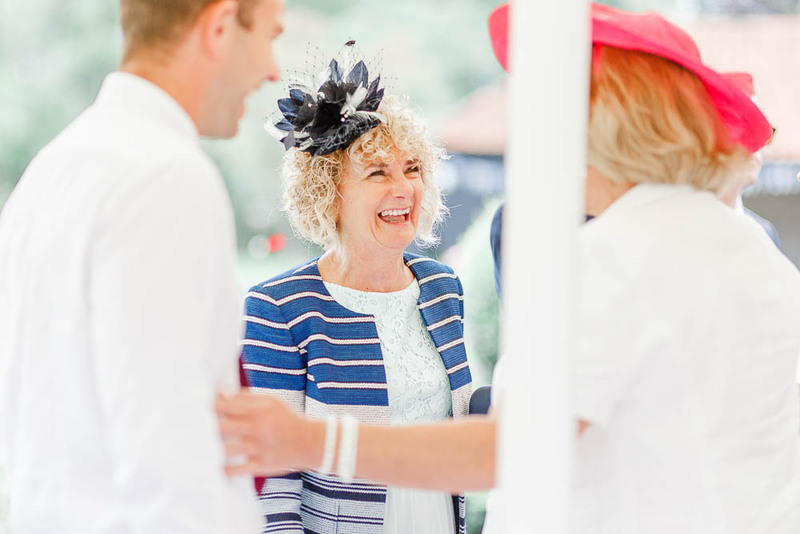 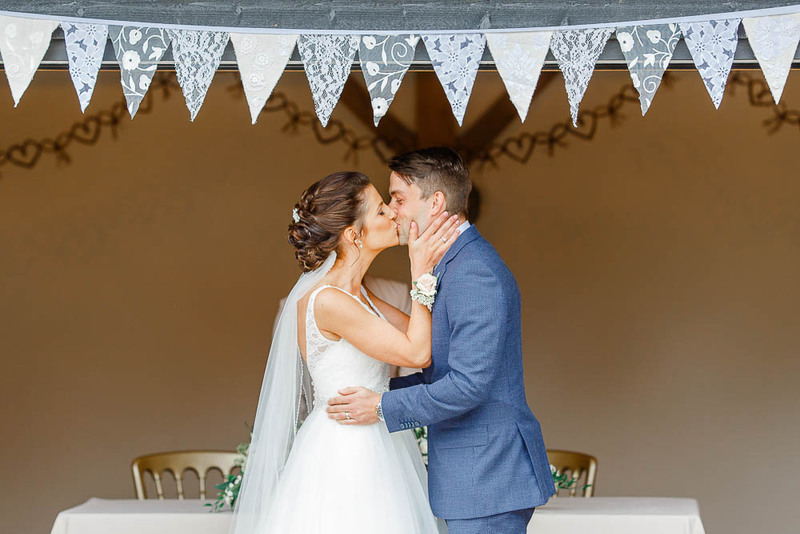 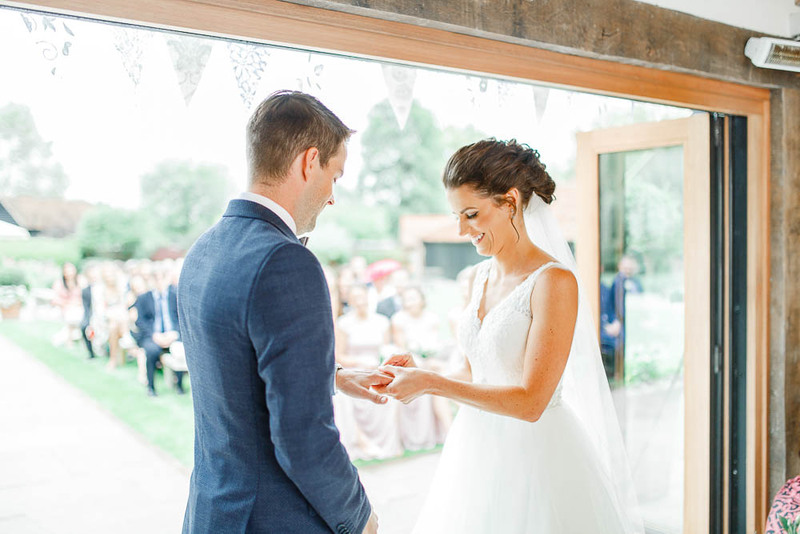 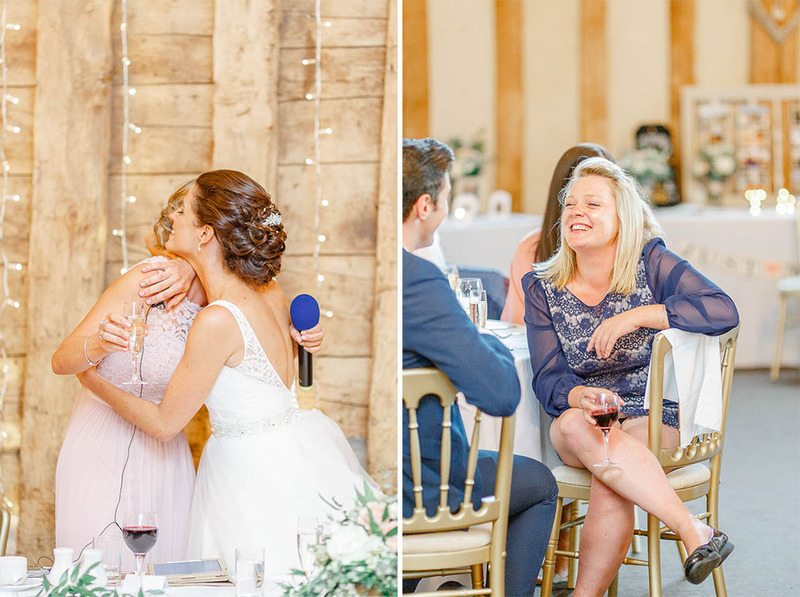 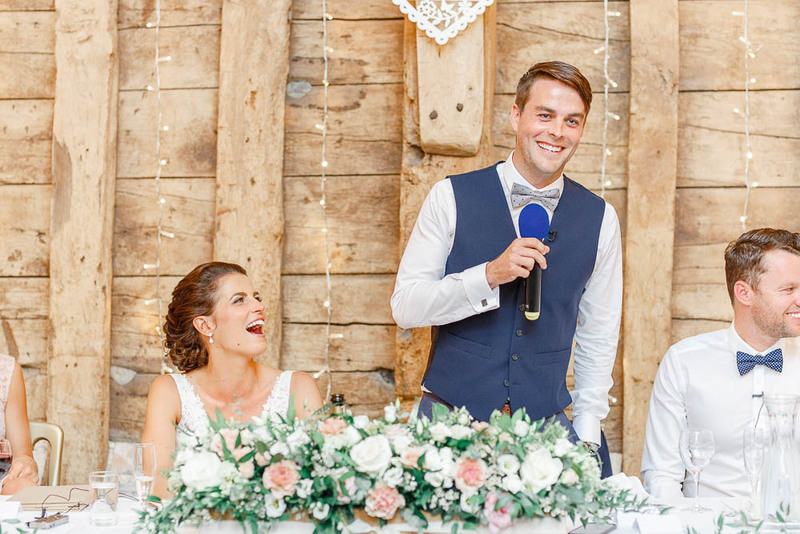 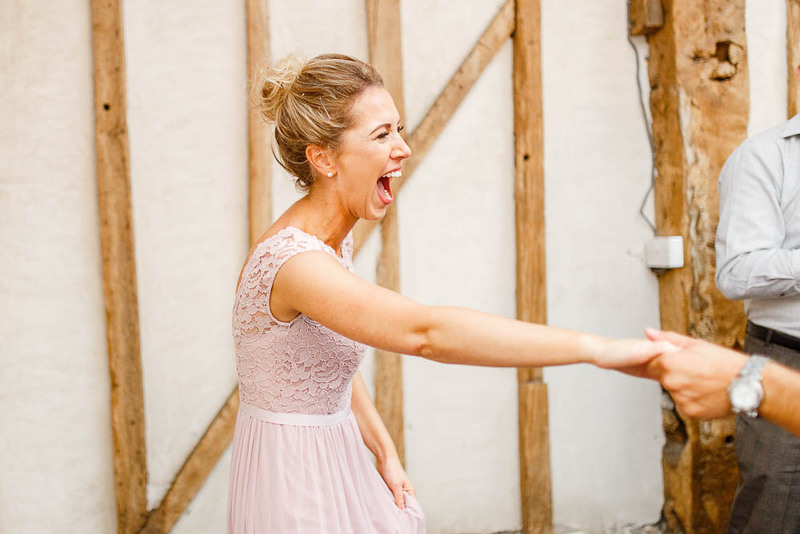 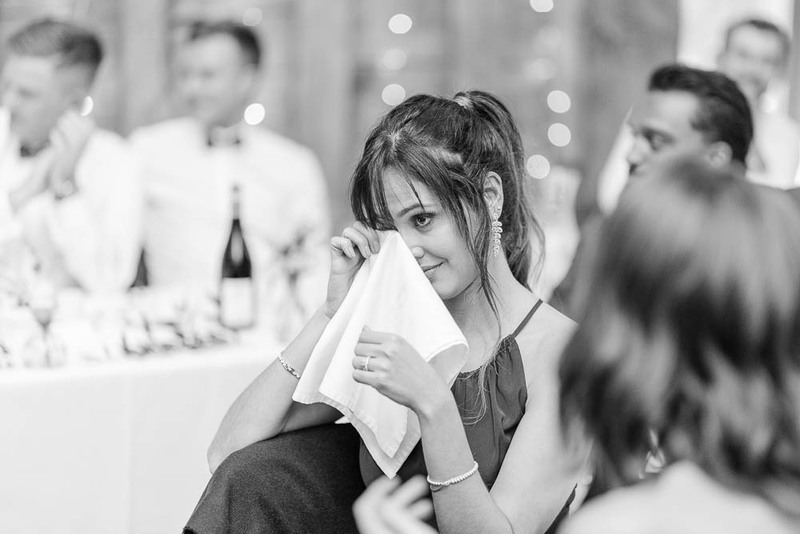 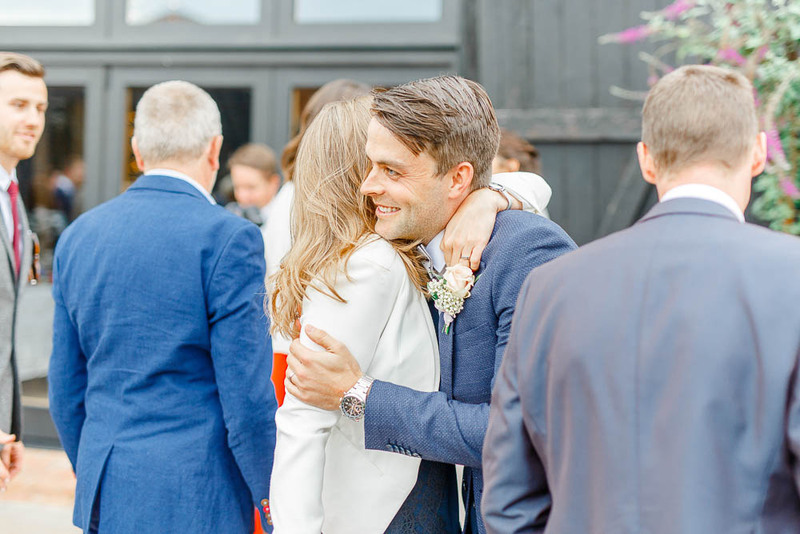 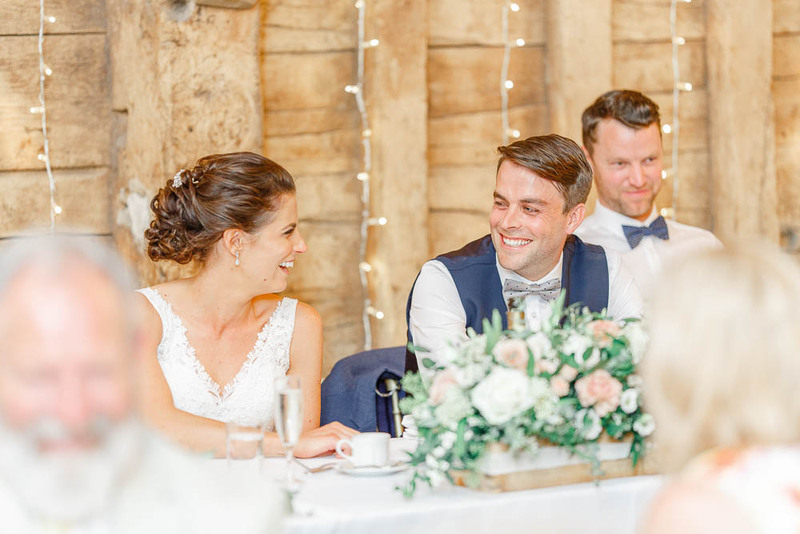 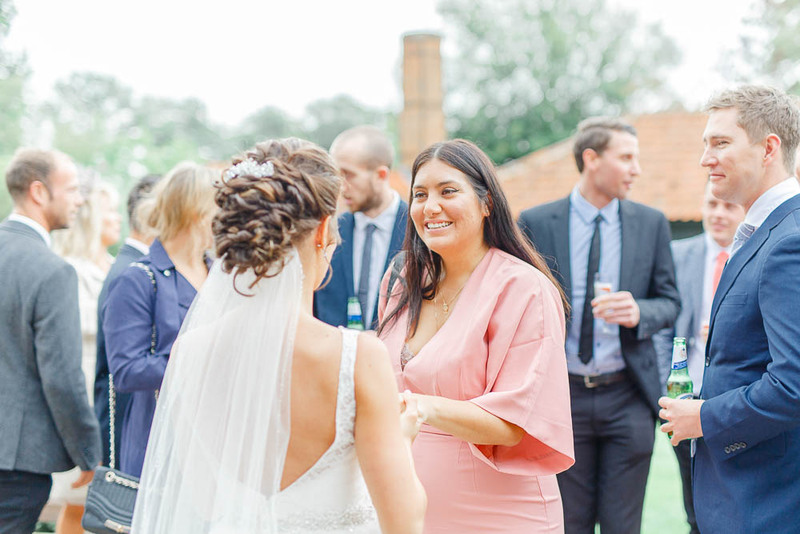 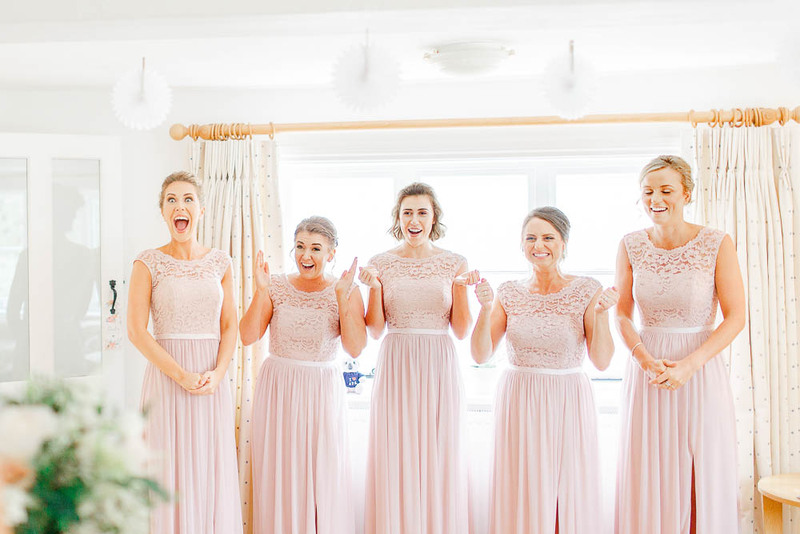 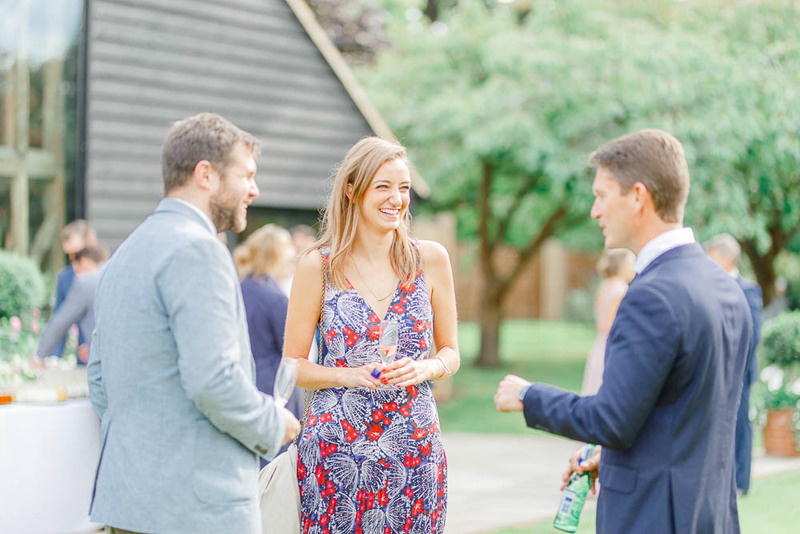 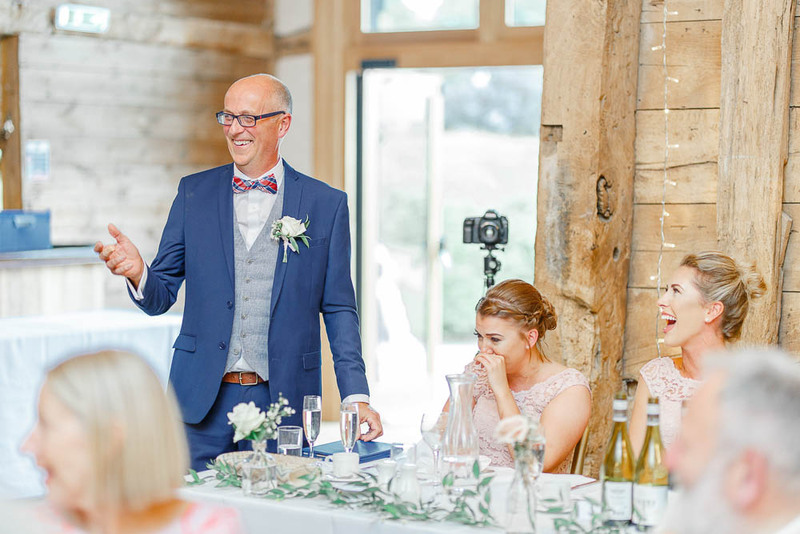 Becca & Tom’s joy was totally infectious and we don’t think we’ve ever seen so much confetti in our whole lives – they literally disappeared from view! 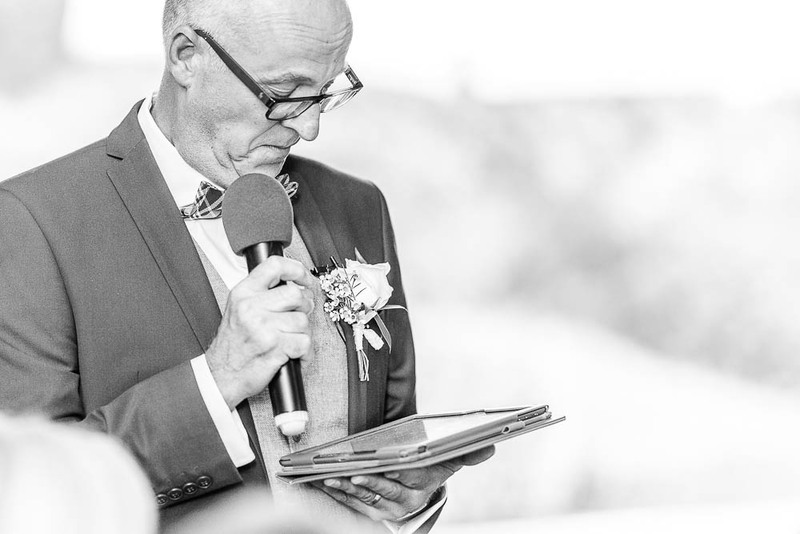 The speeches were emotional to say the least, and there was not a dry eye in the room when Becca’s dad started talking about his daughters with immense pride. 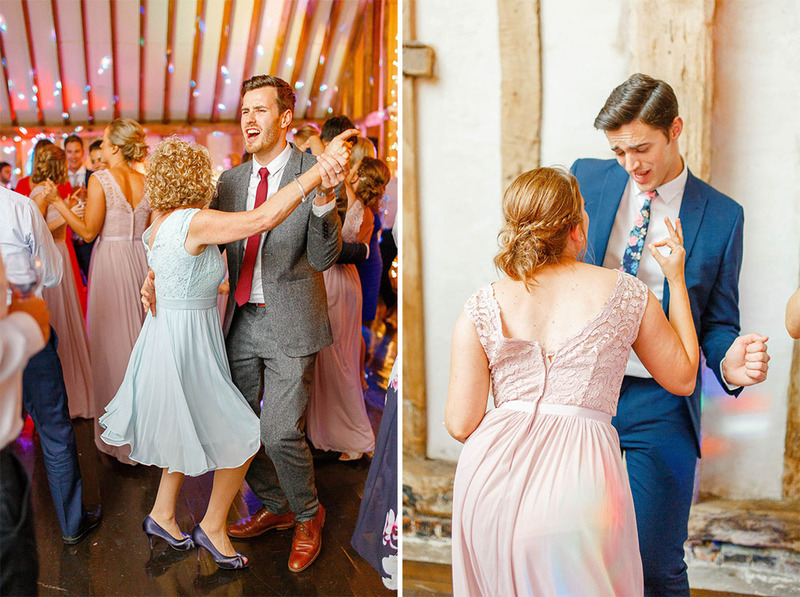 Before long everyone was up on the dancefloor enjoying the band and dancing the night away! 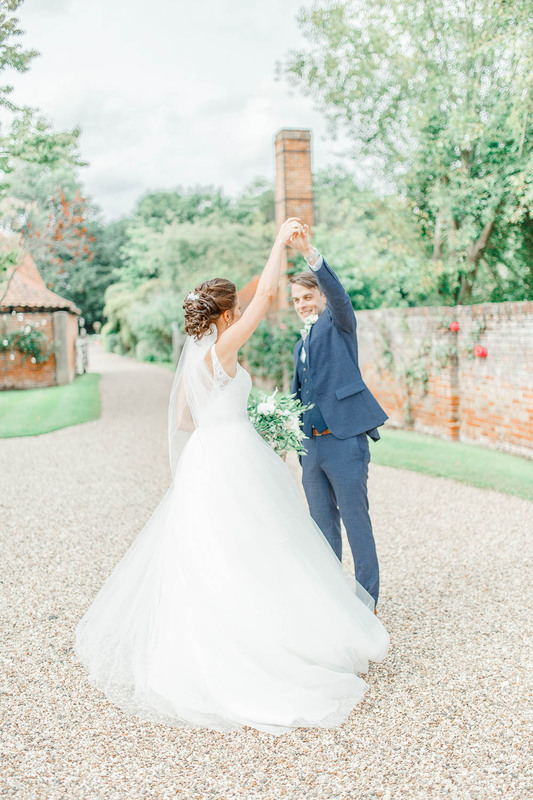 Congratulations guys, sending lots of love from Kent to sunny Oz!